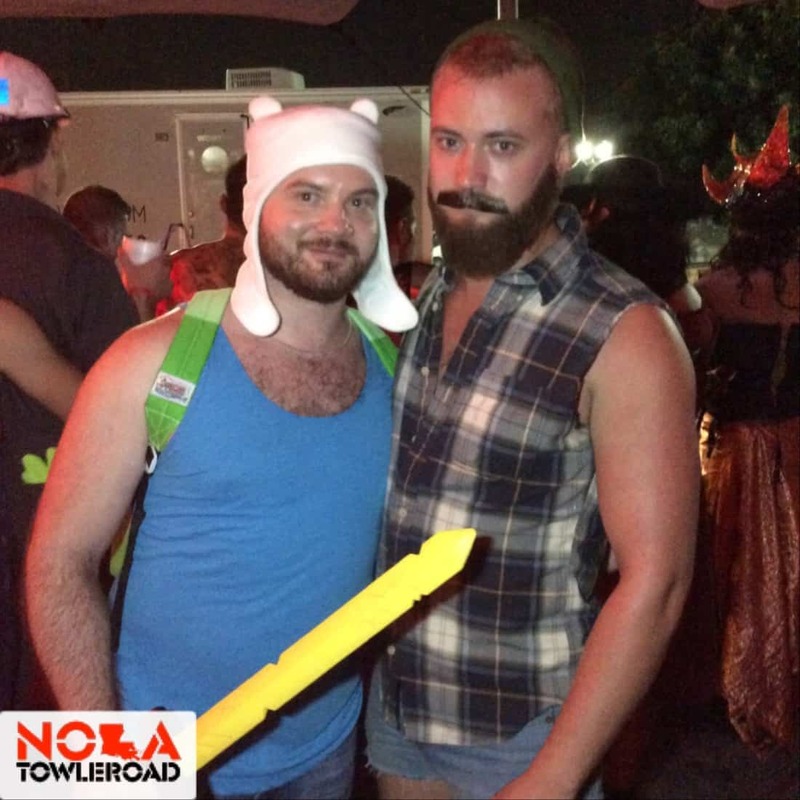 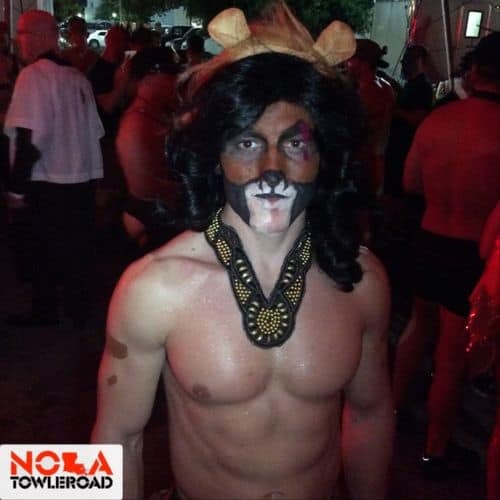 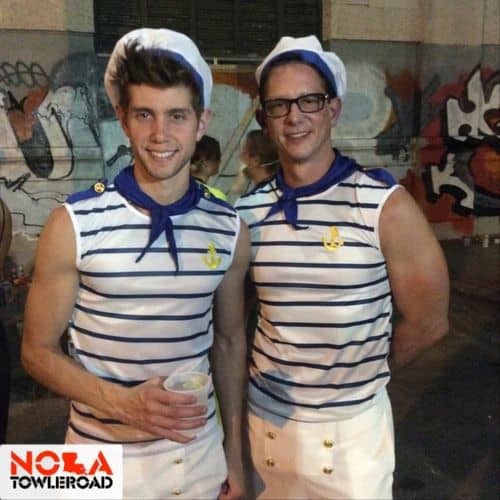 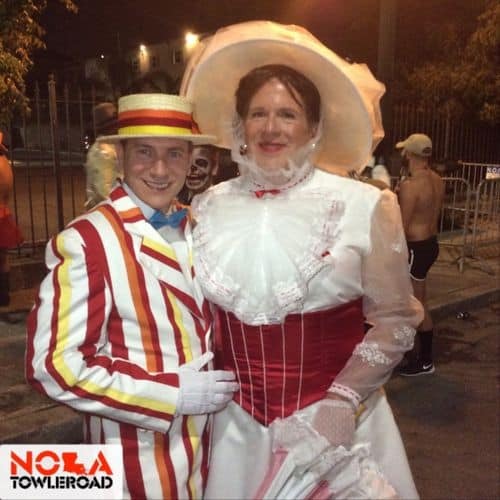 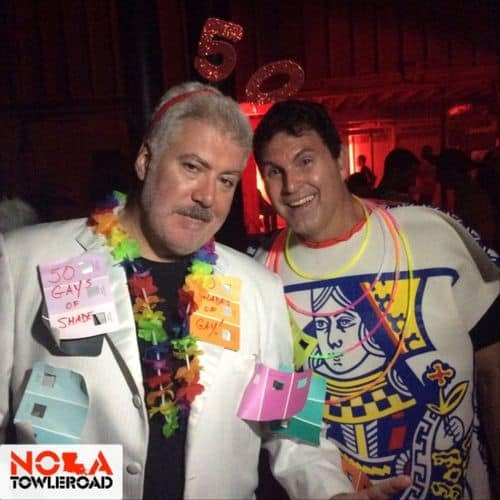 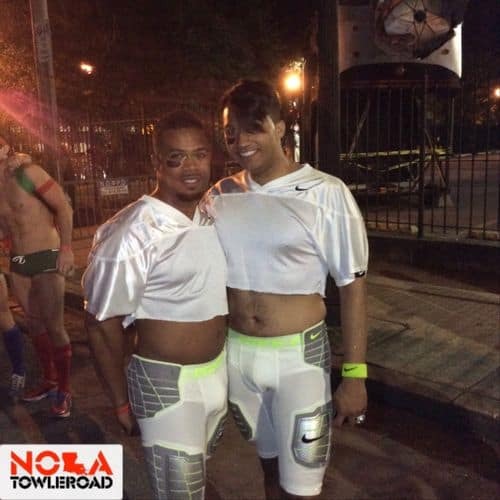 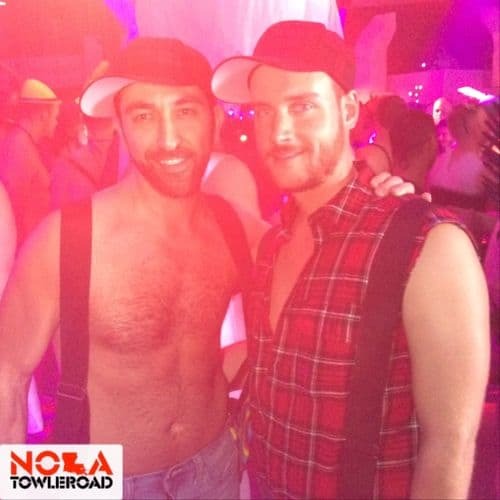 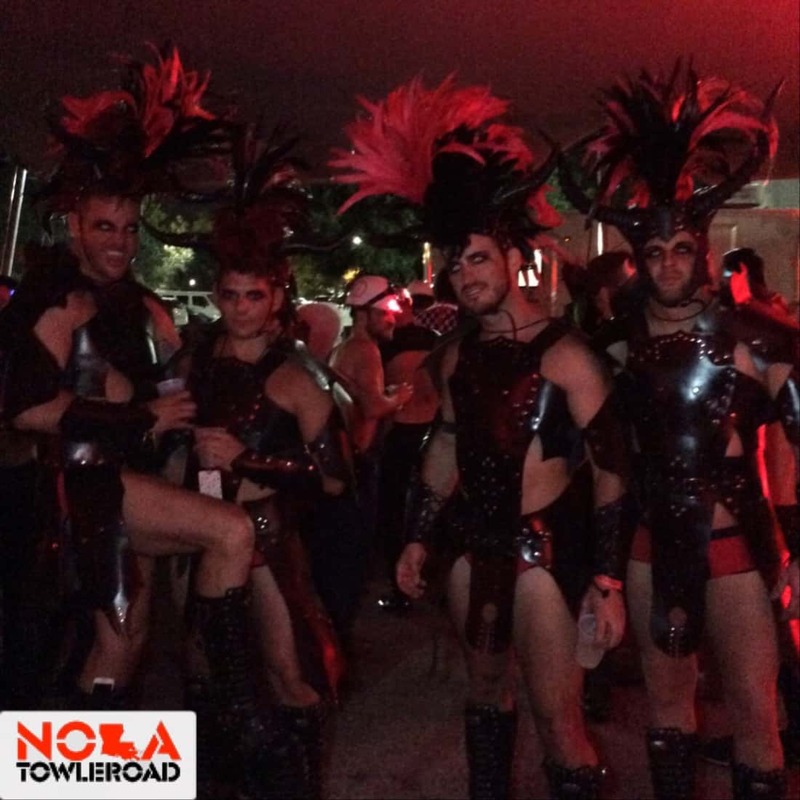 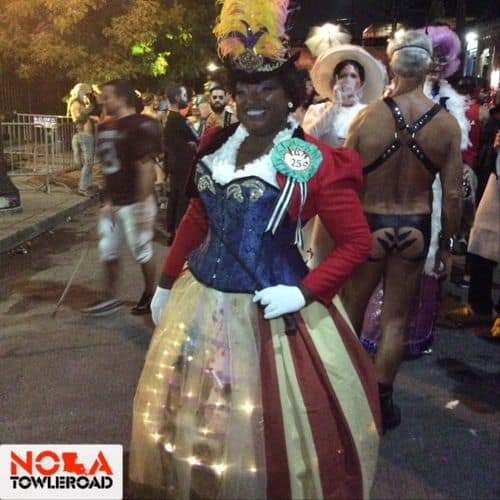 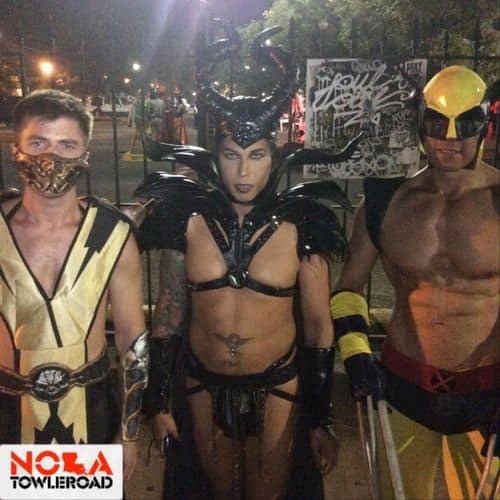 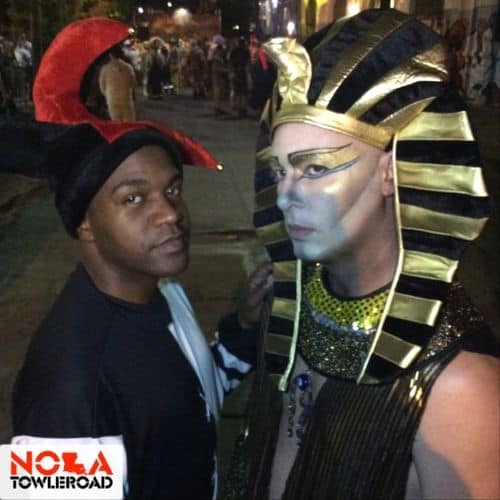 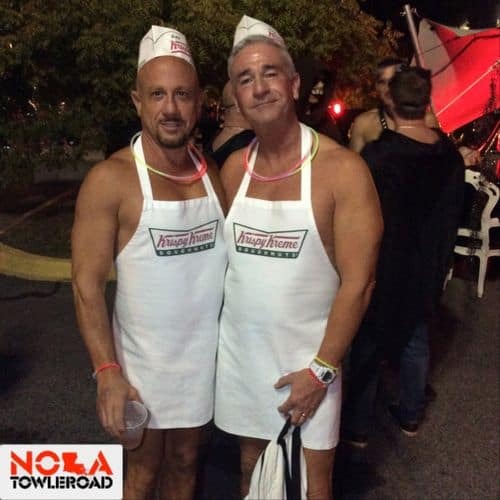 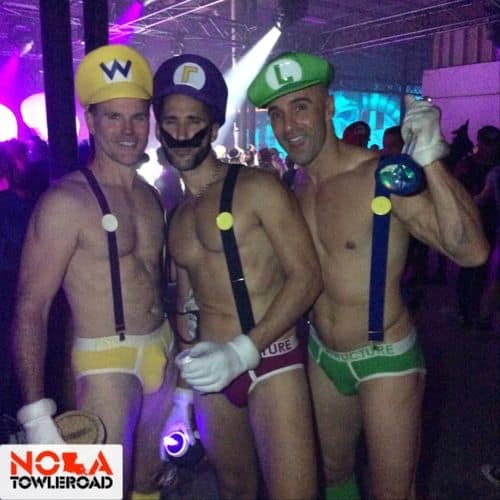 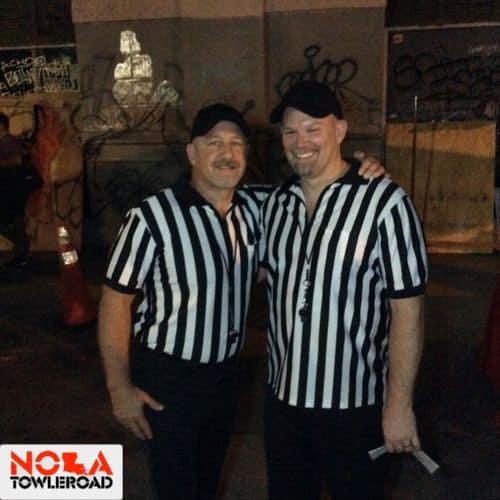 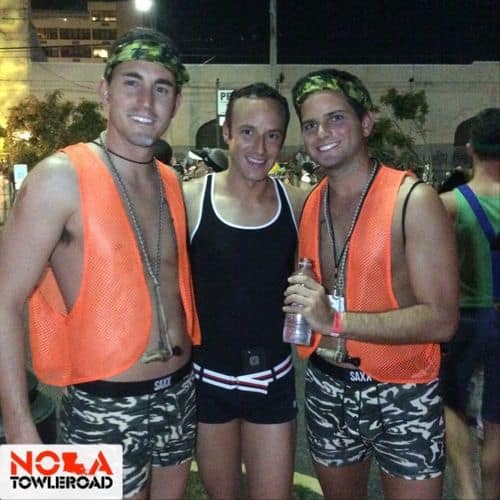 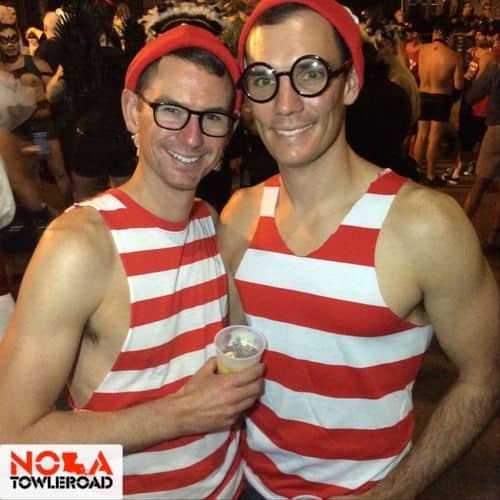 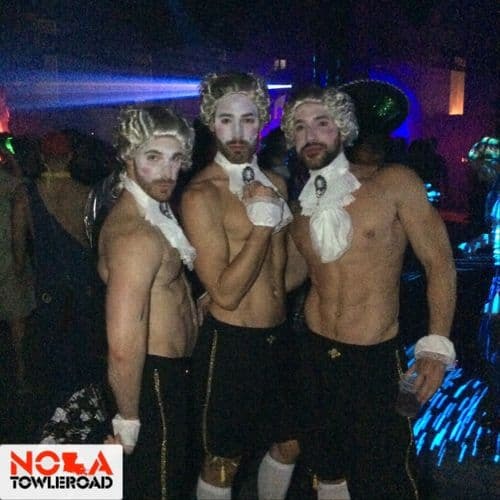 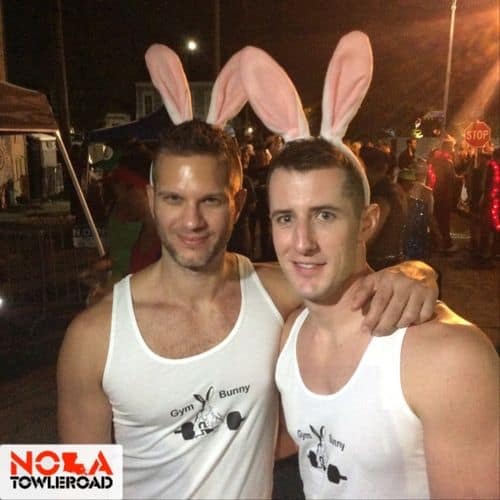 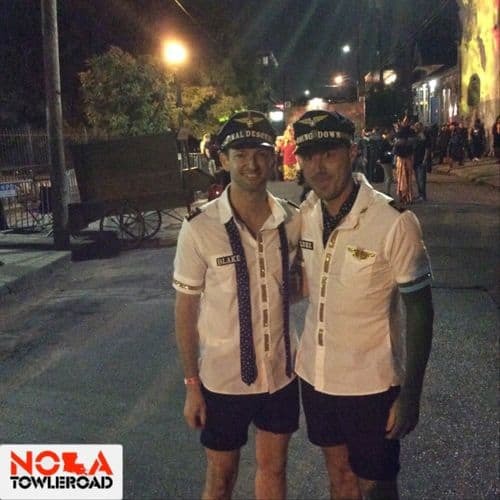 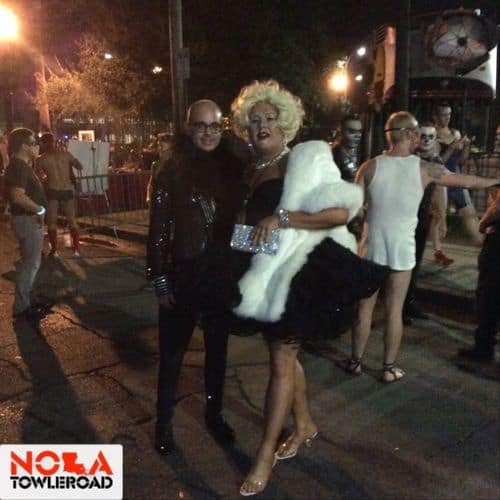 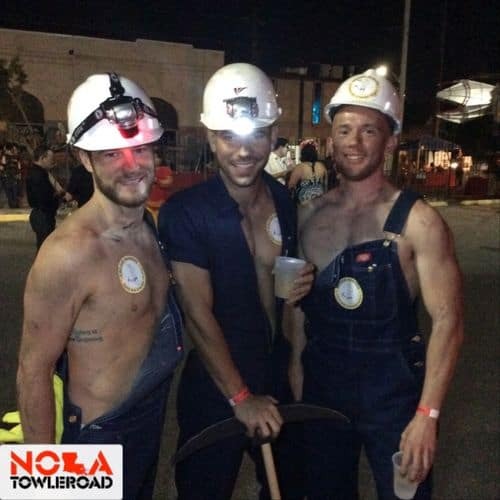 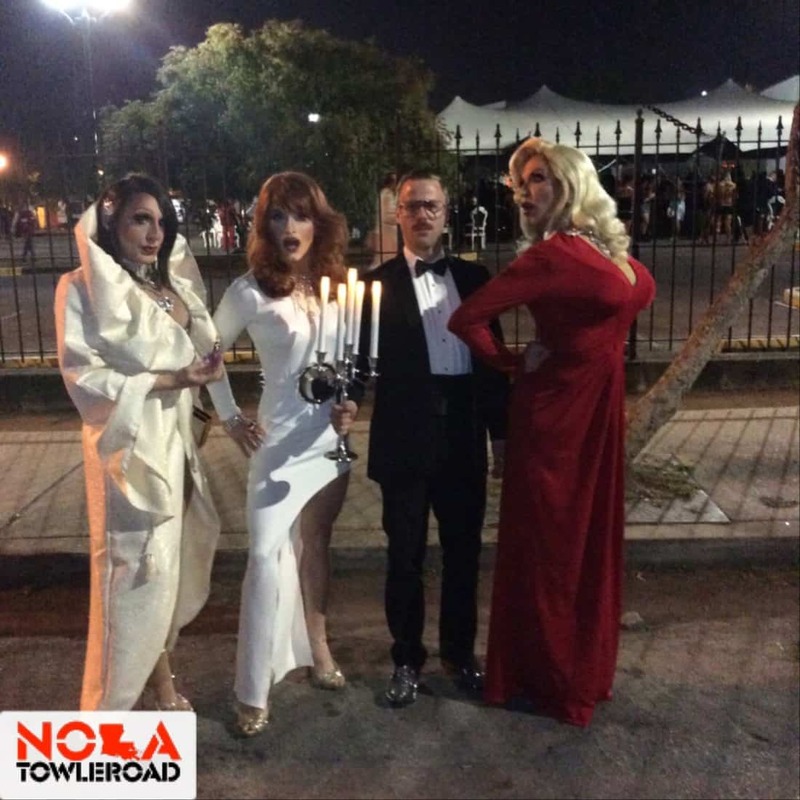 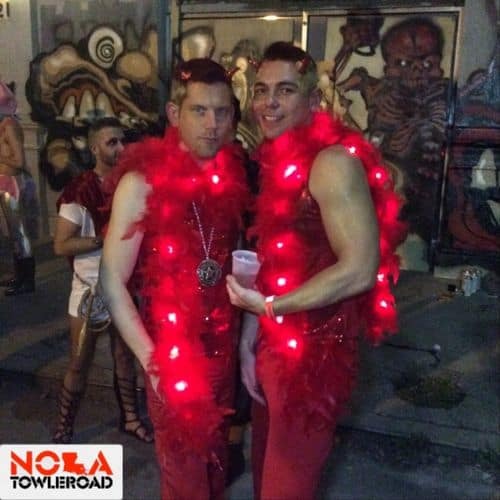 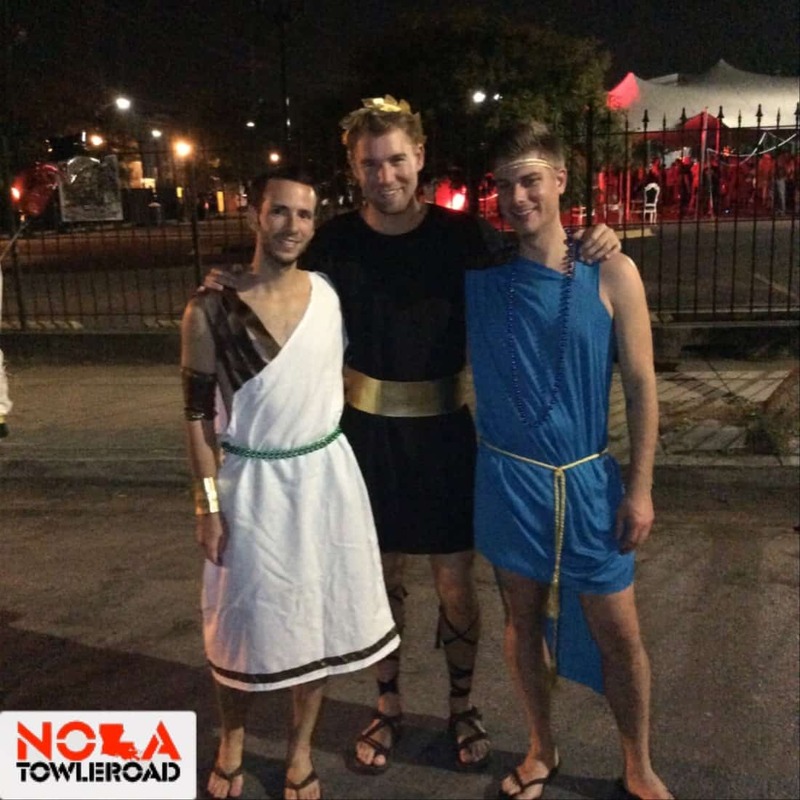 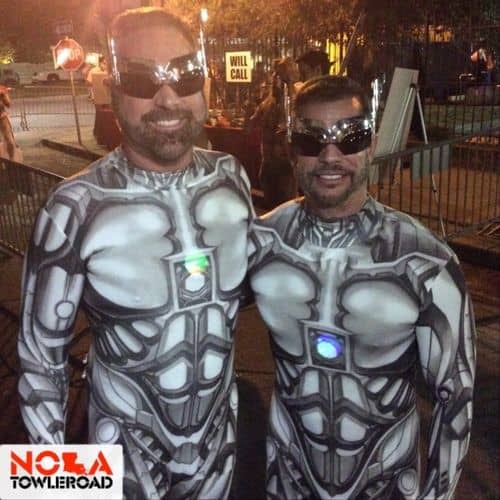 You are here: Home / 150 Photos from Halloween New Orleans, the Largest, Sexiest Gay Costume Bash in the U.S.A.
150 Photos from Halloween New Orleans, the Largest, Sexiest Gay Costume Bash in the U.S.A.
Last weekend, thousands of LGBT folks and allies descended upon New Orleans for the most magnificent costume event of the year! 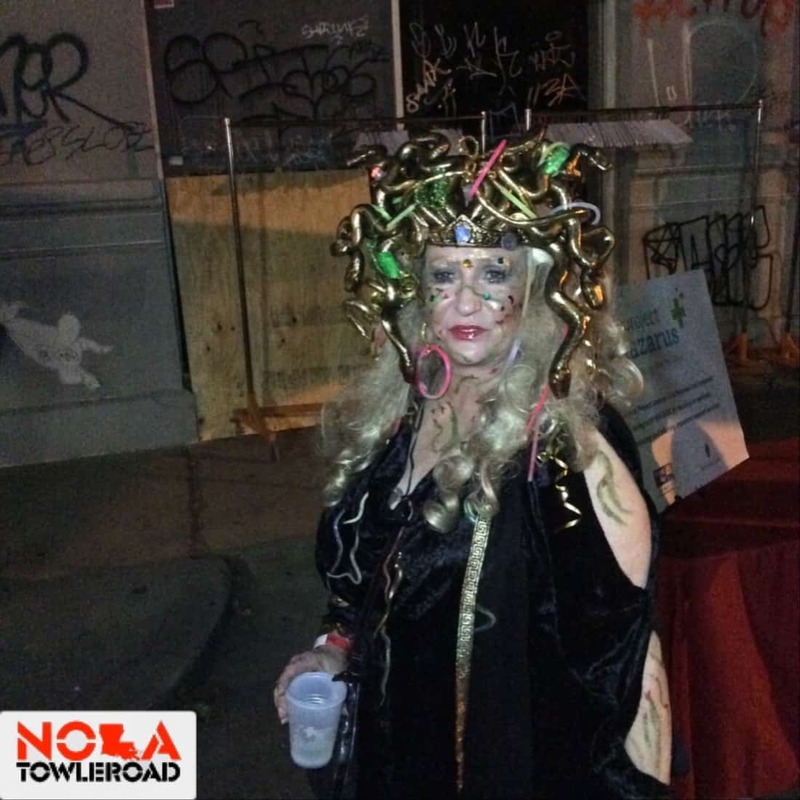 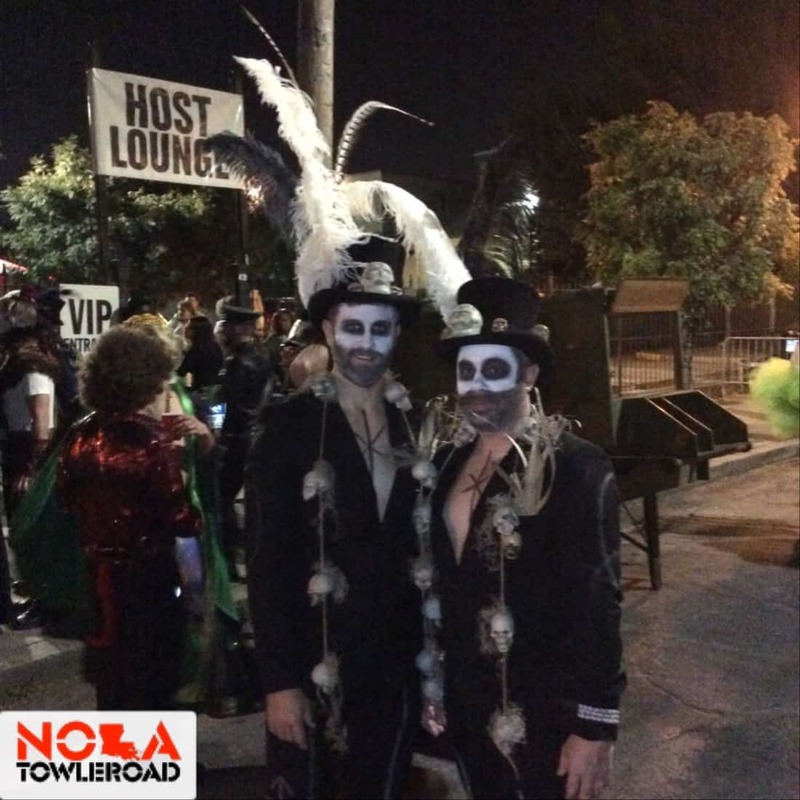 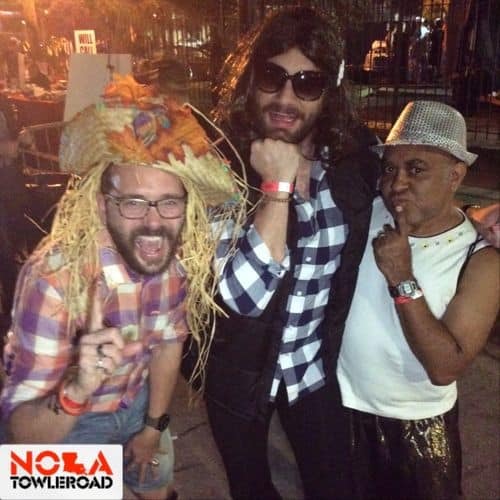 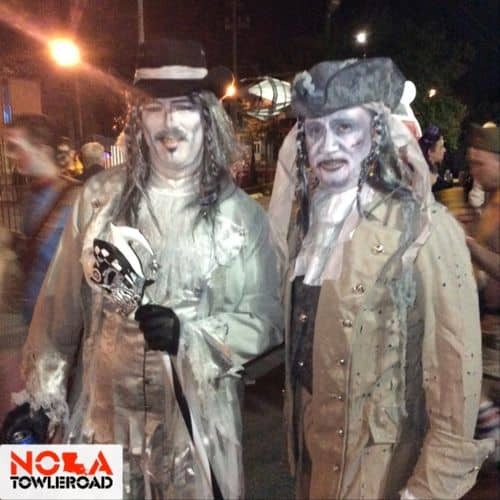 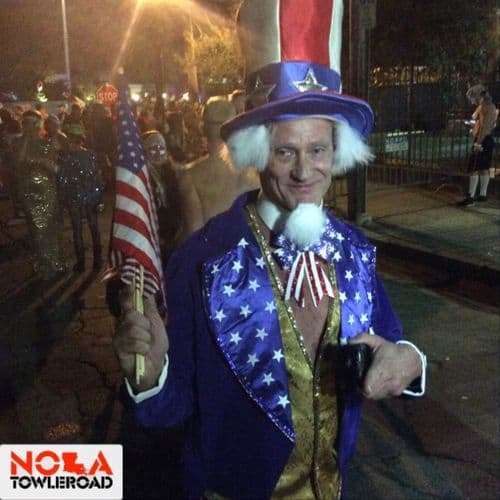 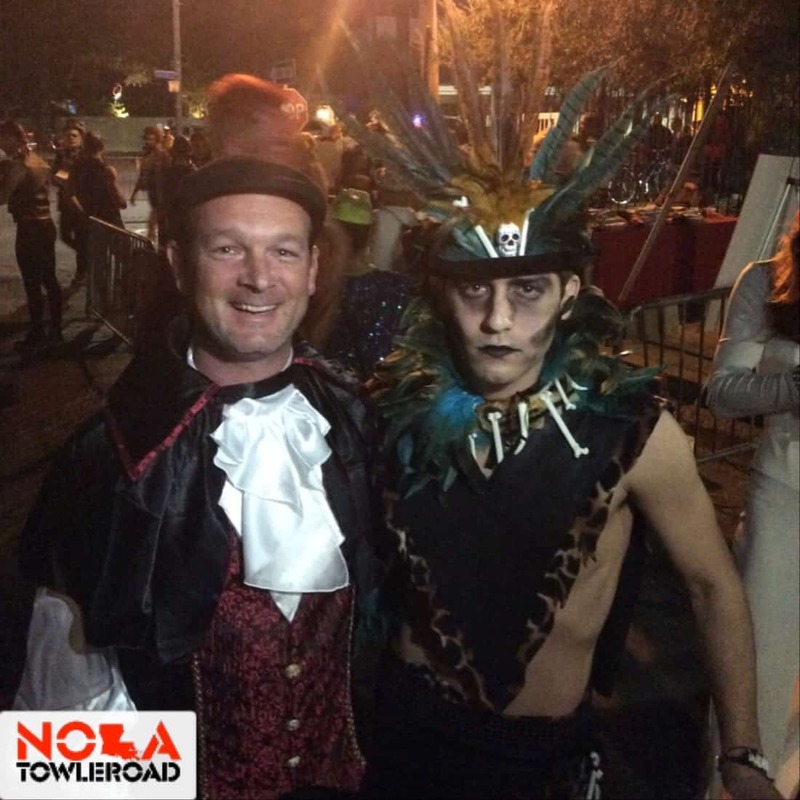 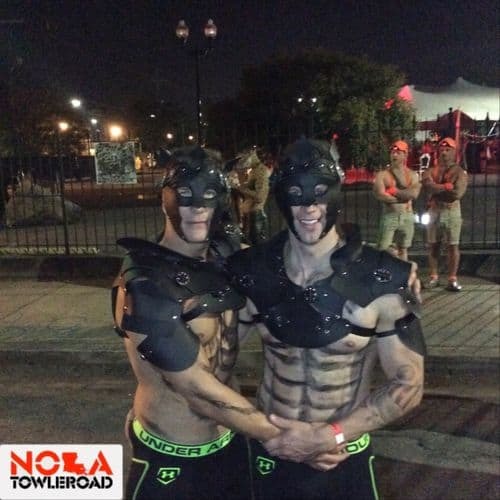 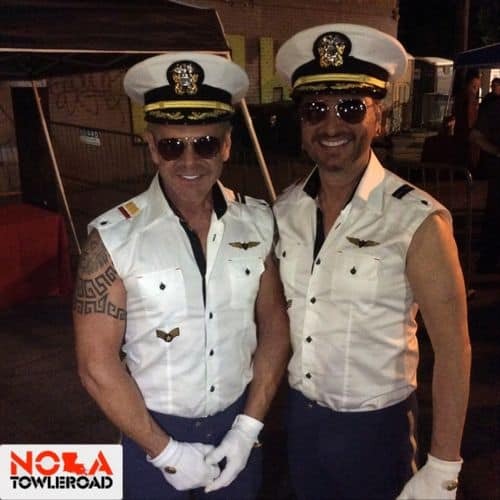 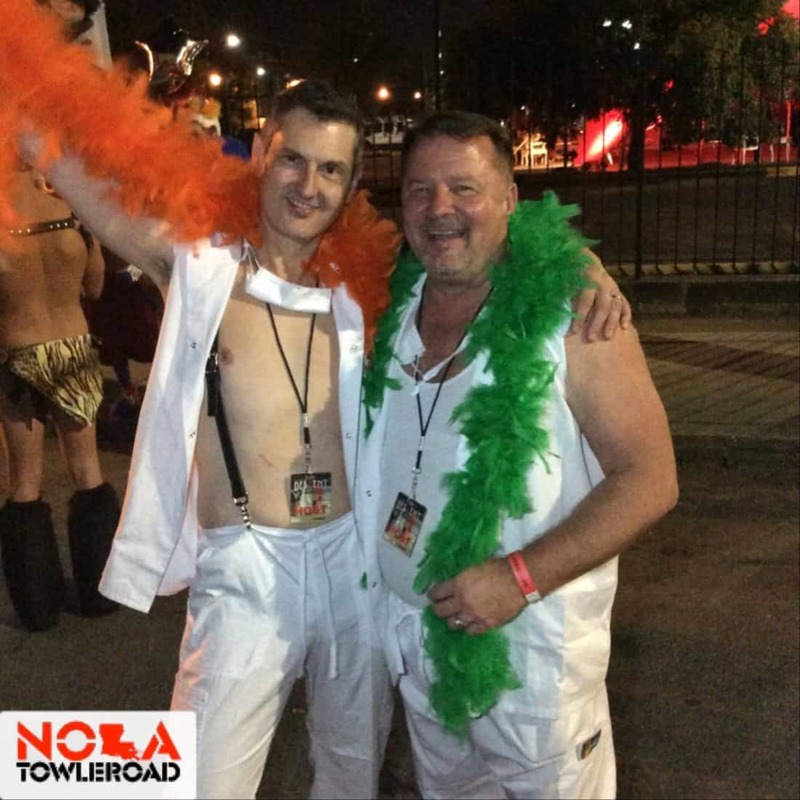 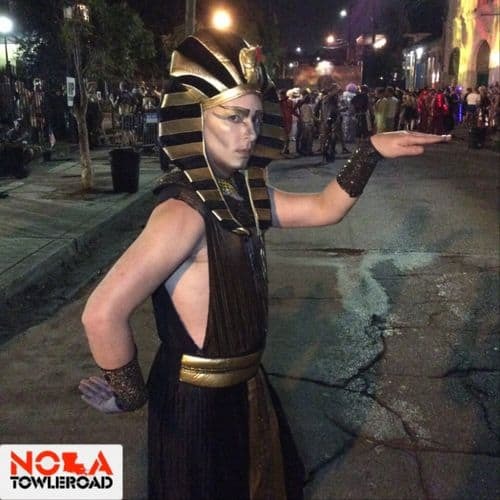 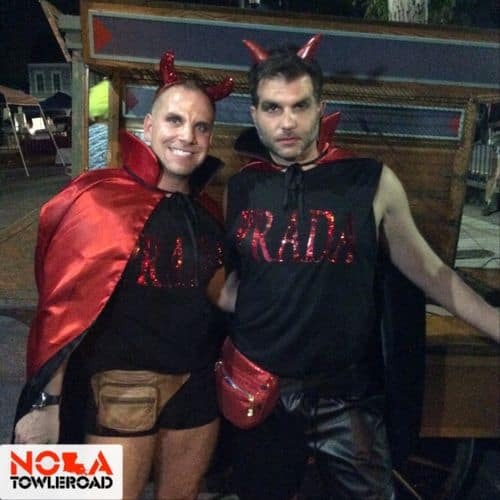 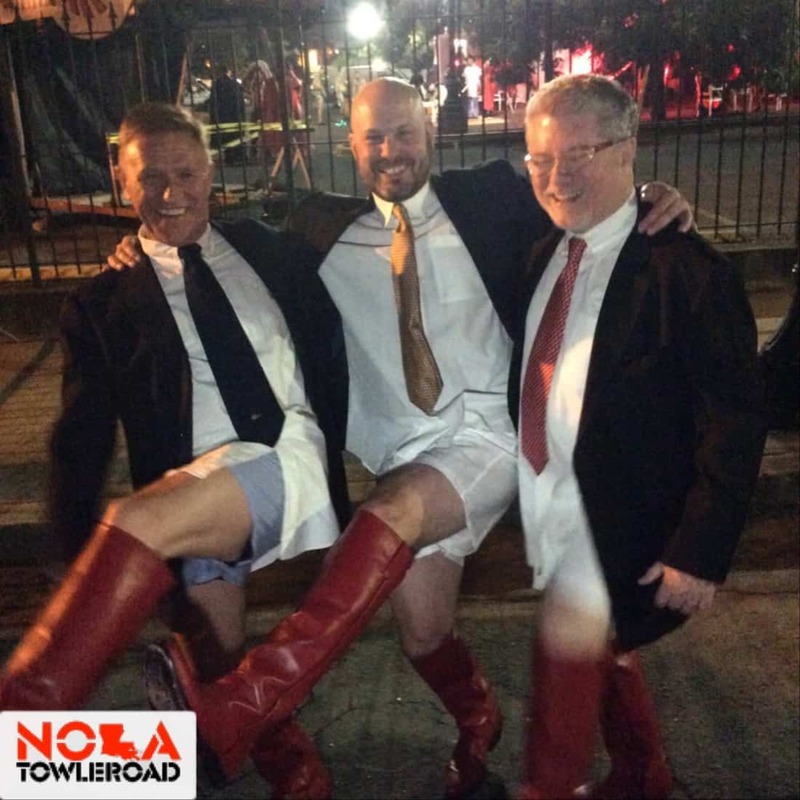 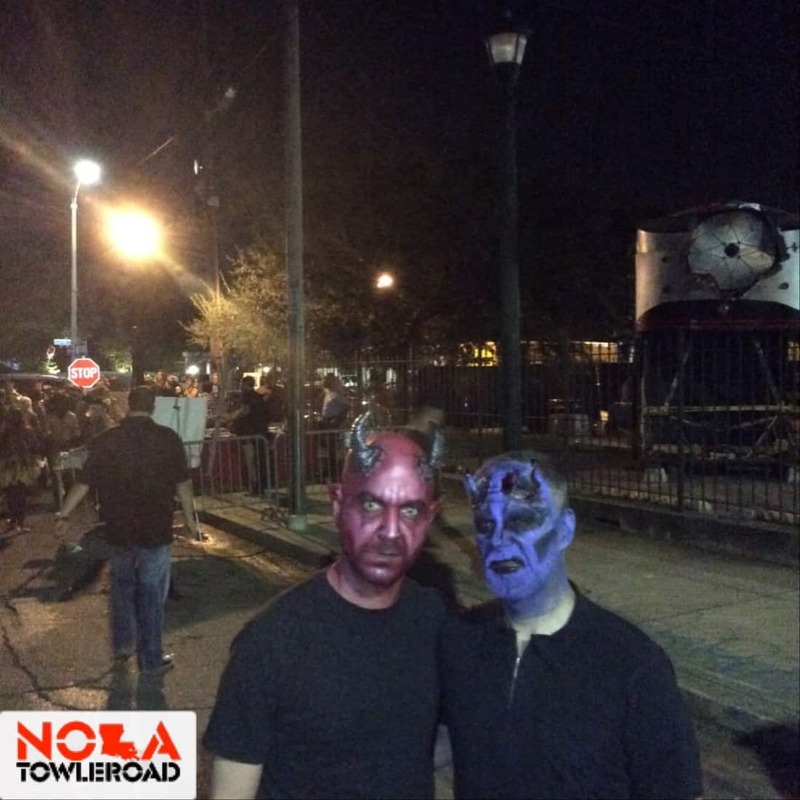 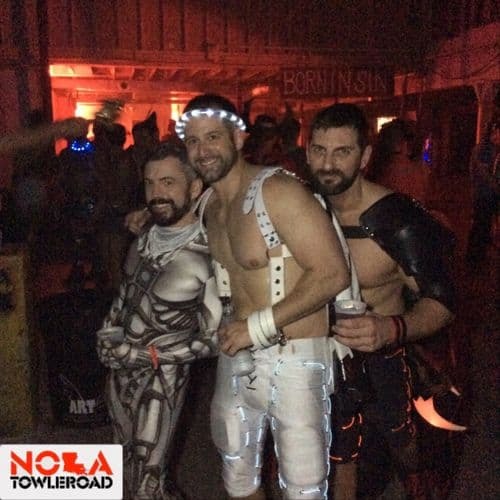 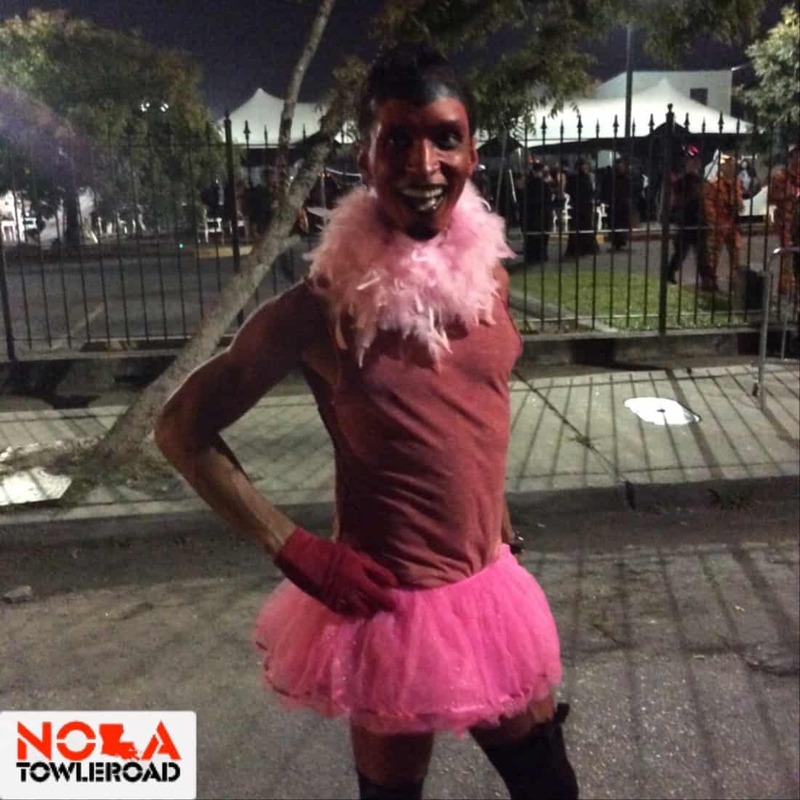 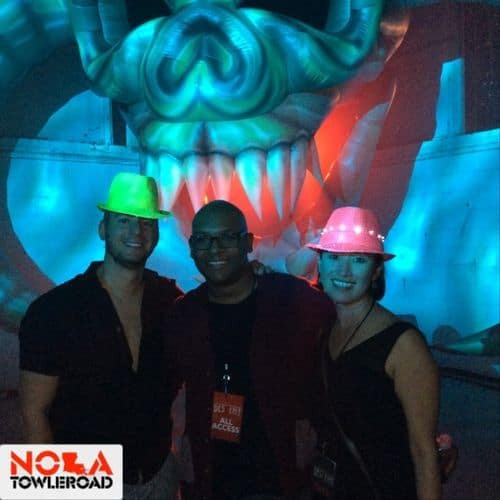 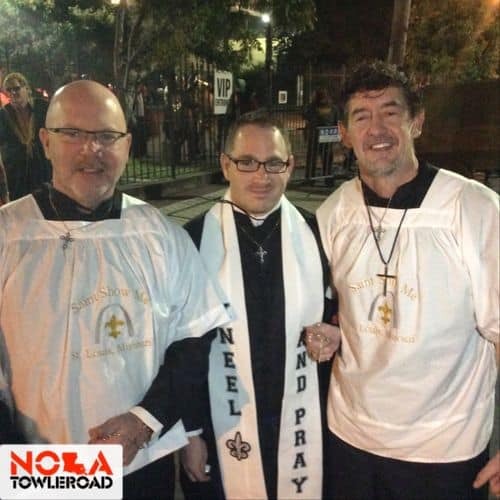 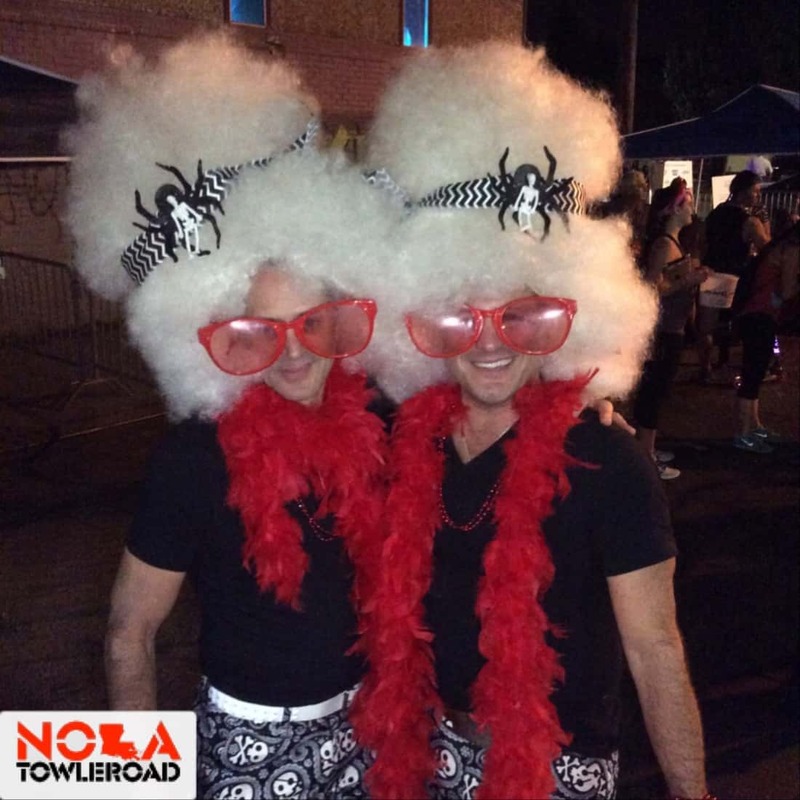 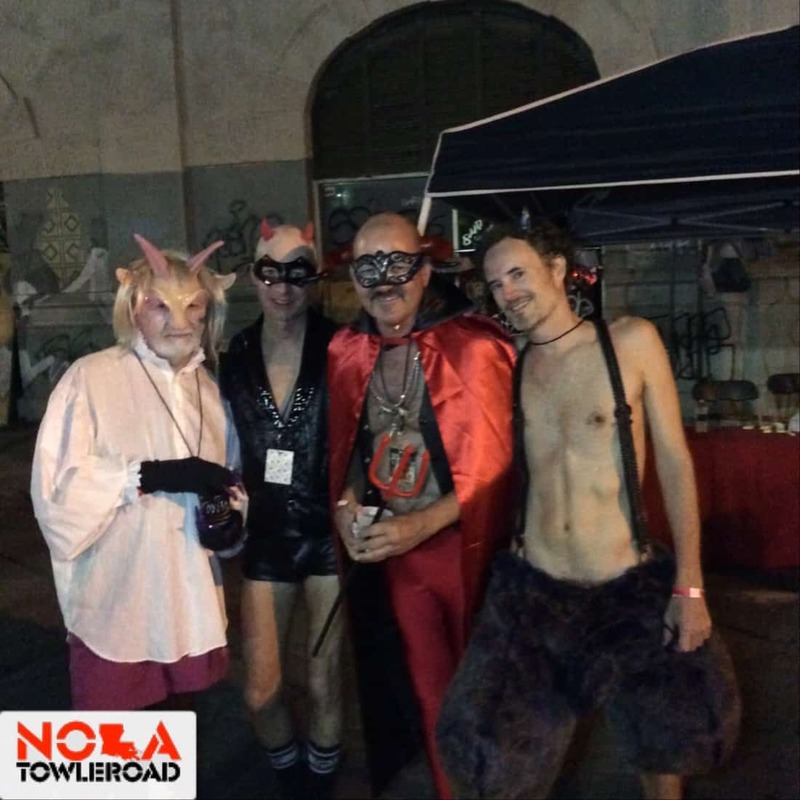 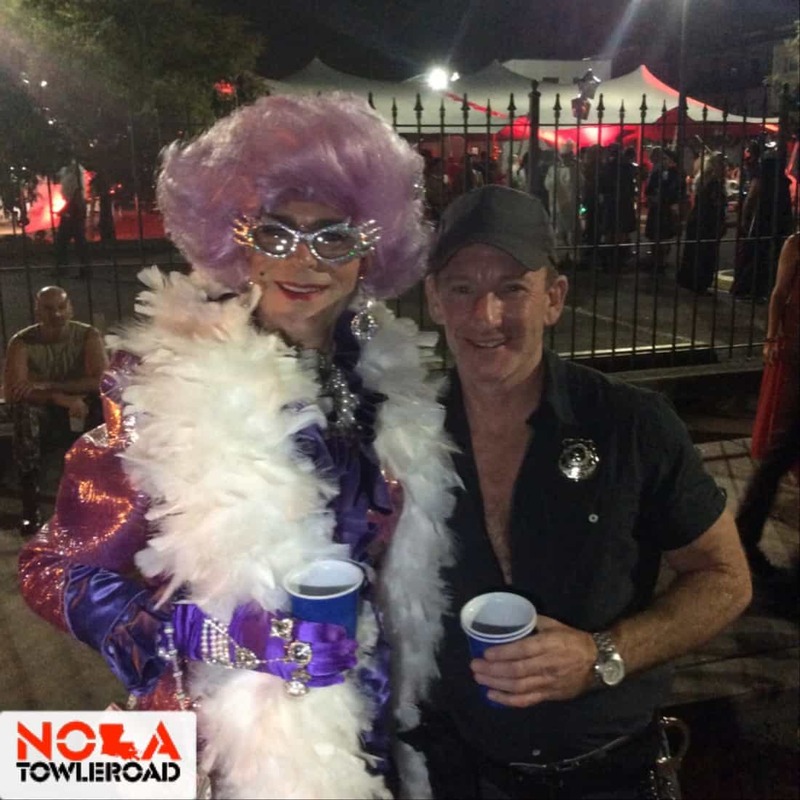 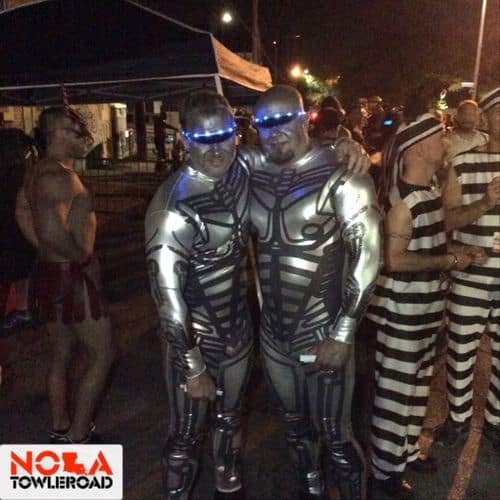 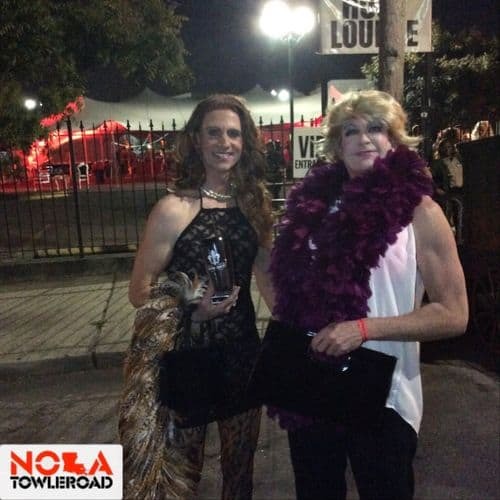 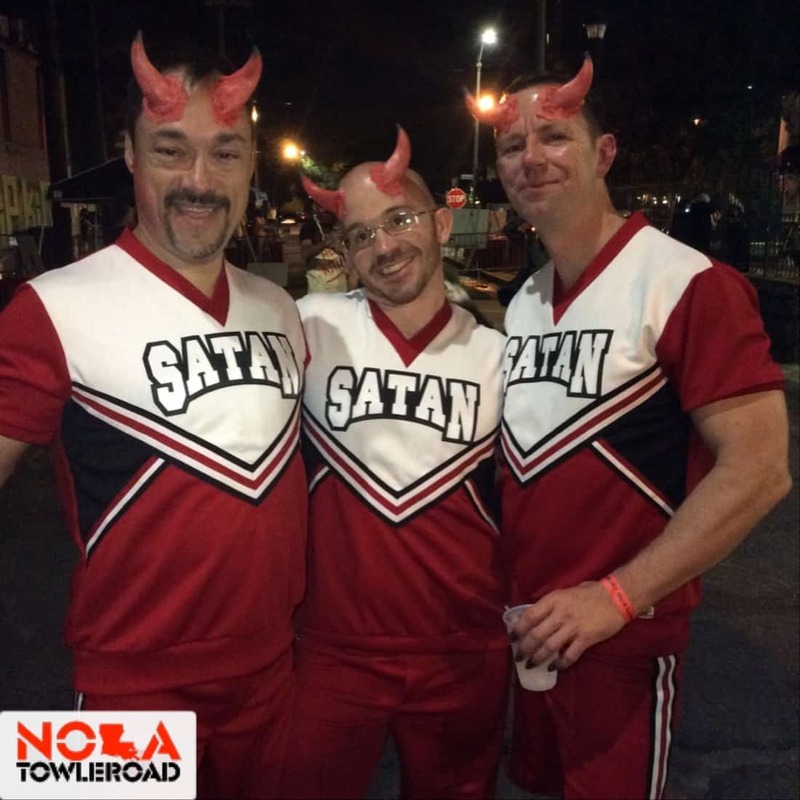 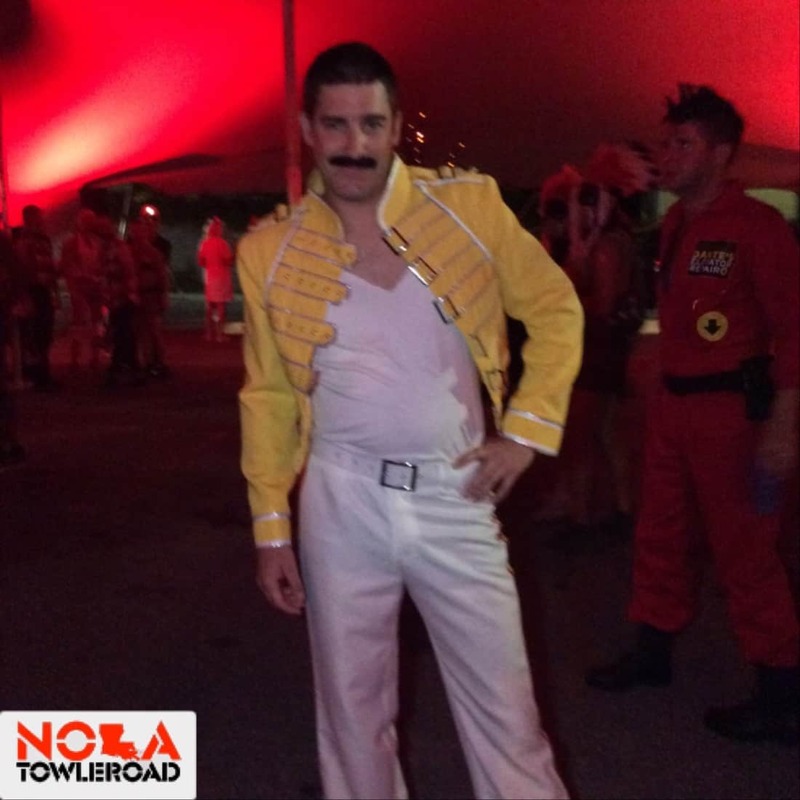 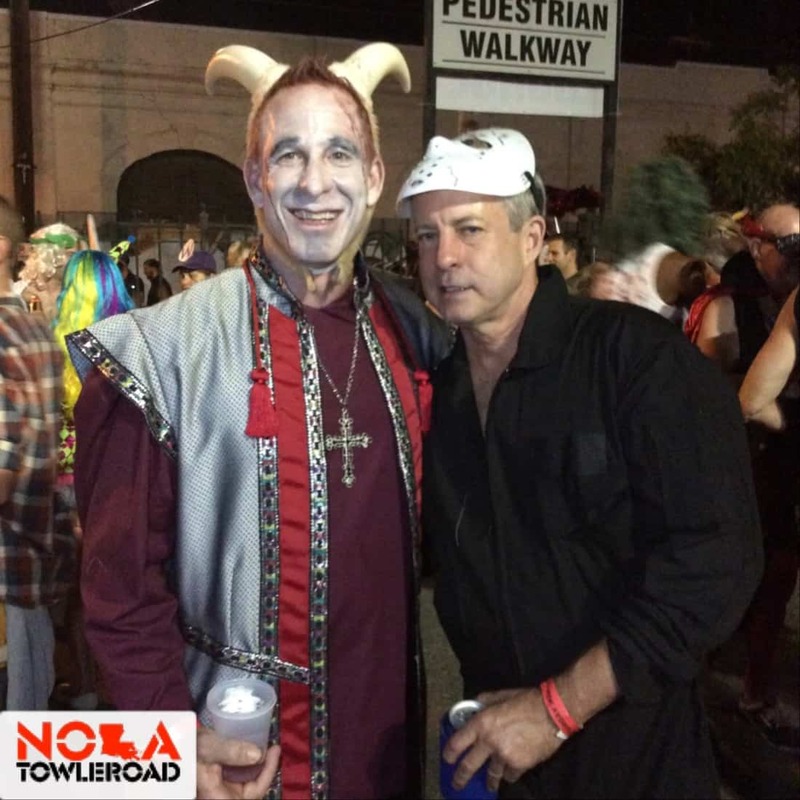 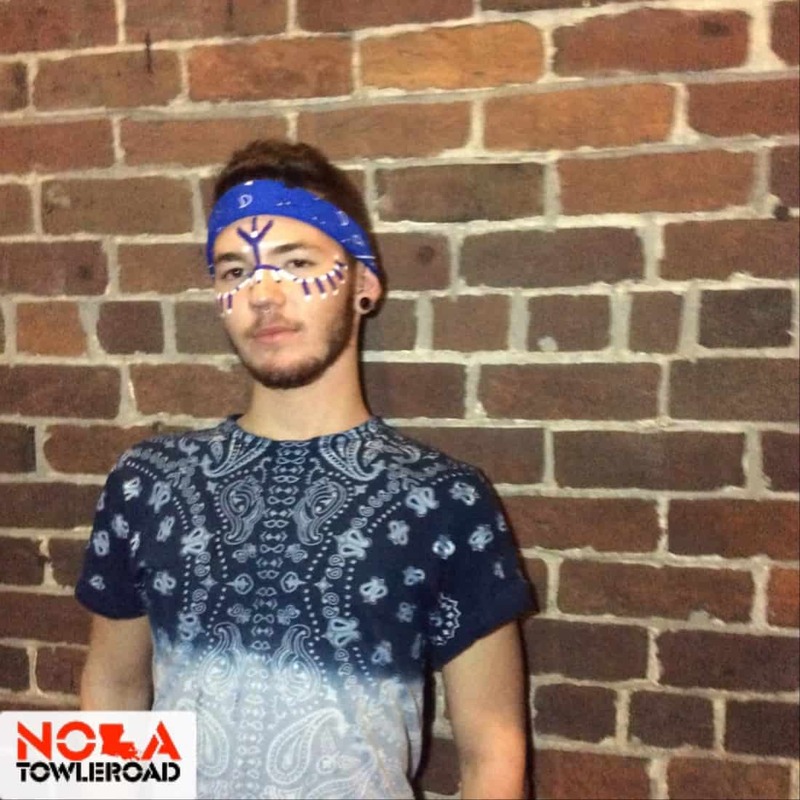 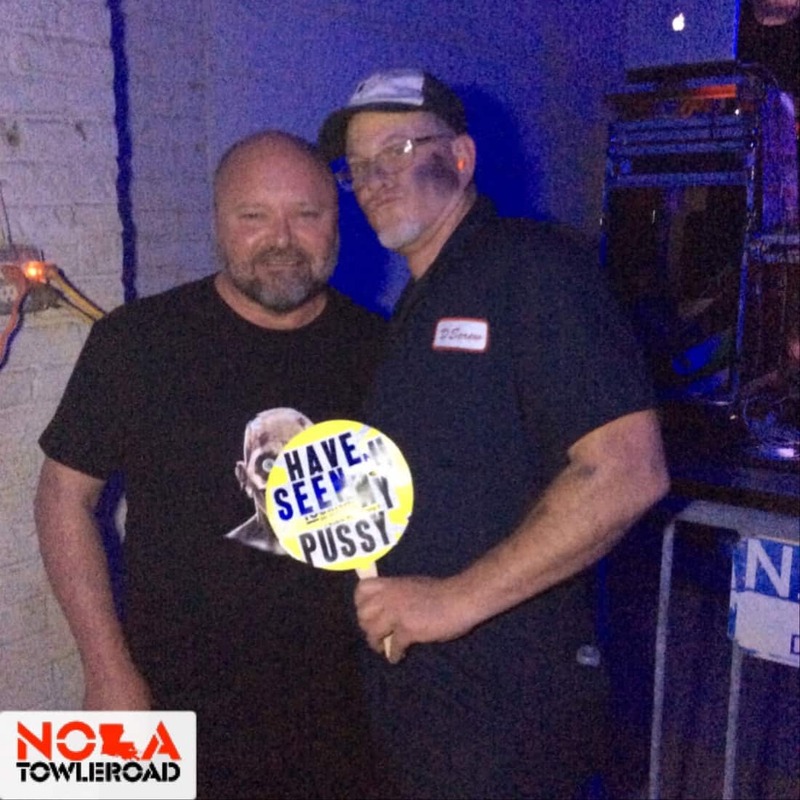 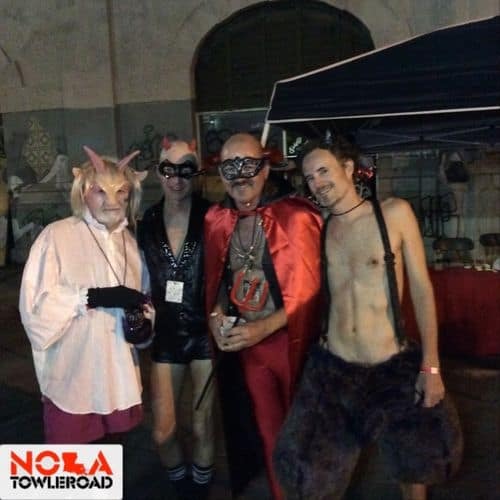 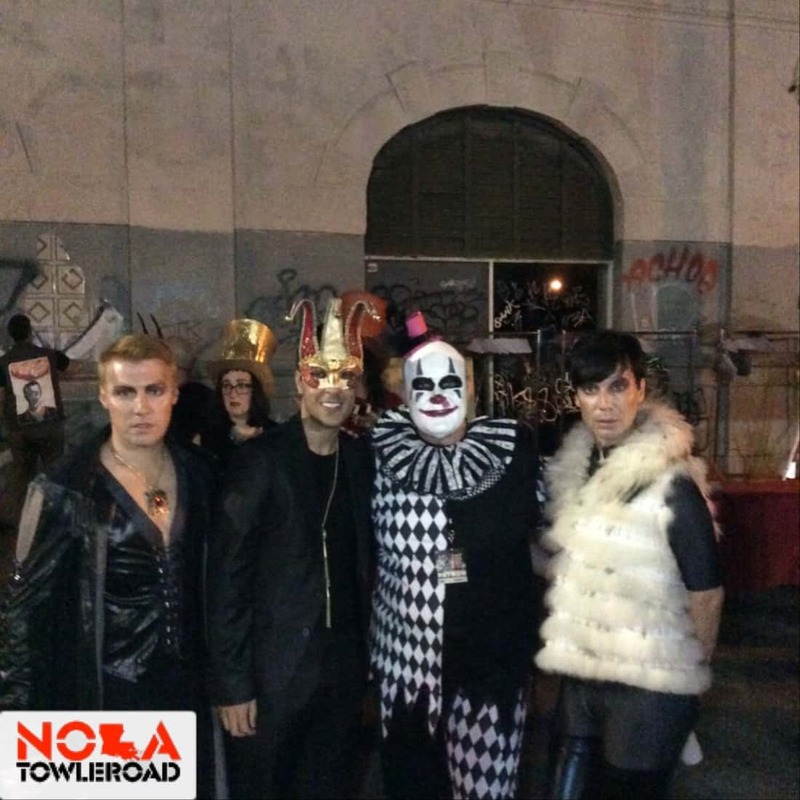 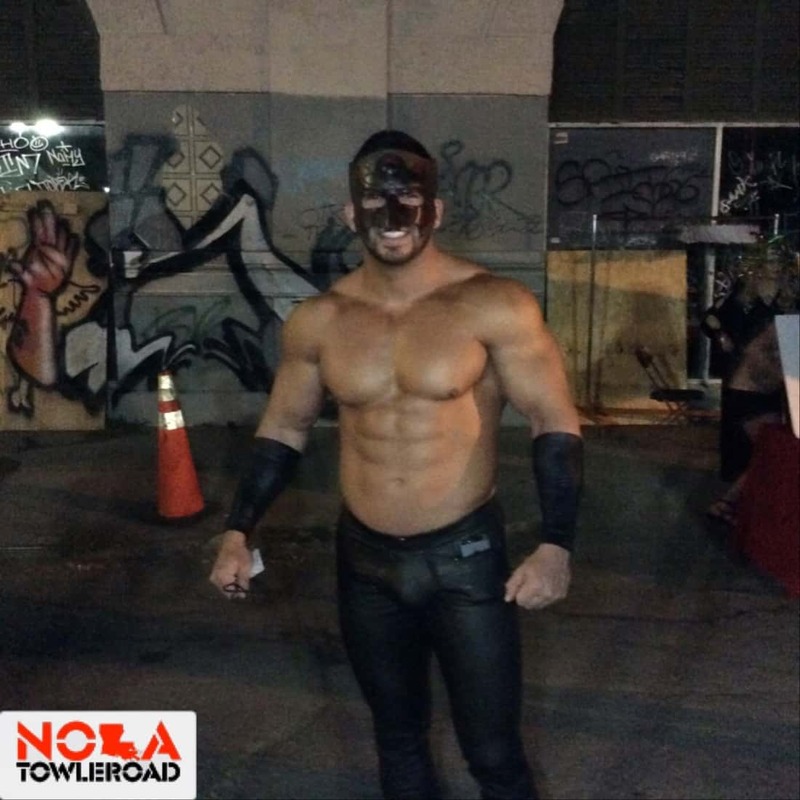 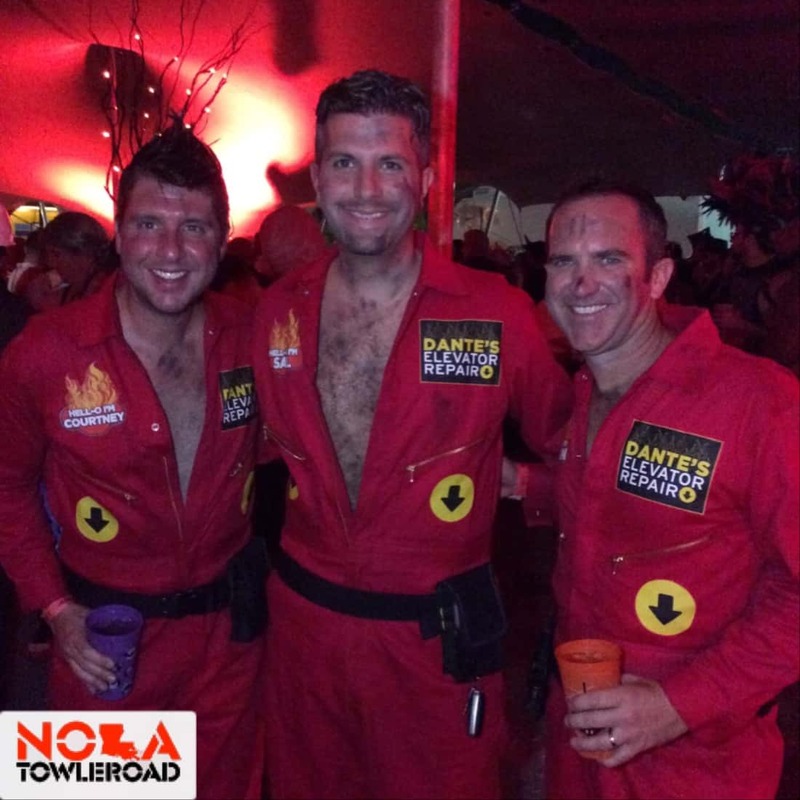 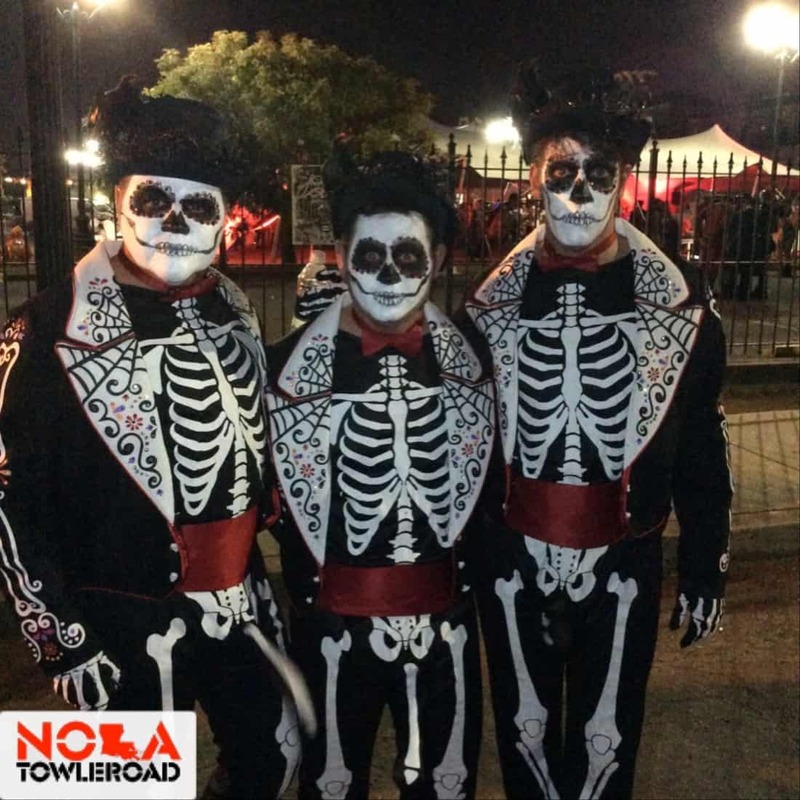 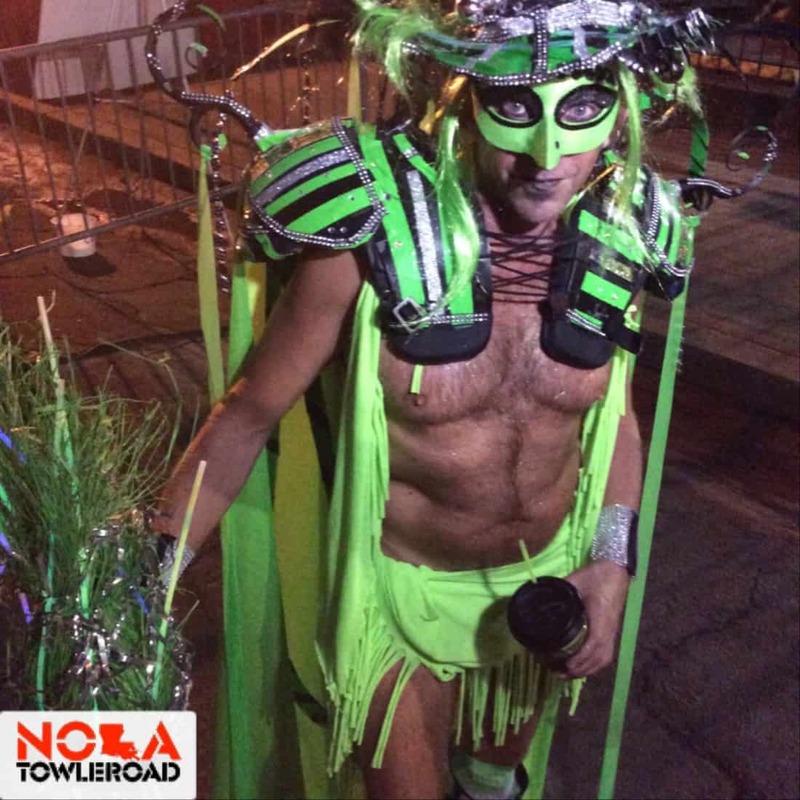 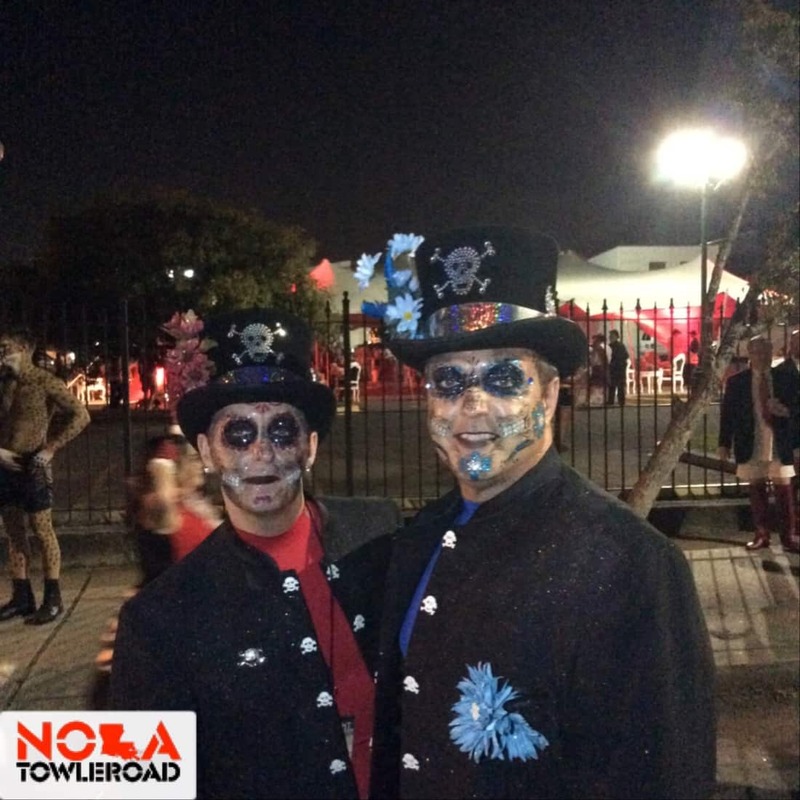 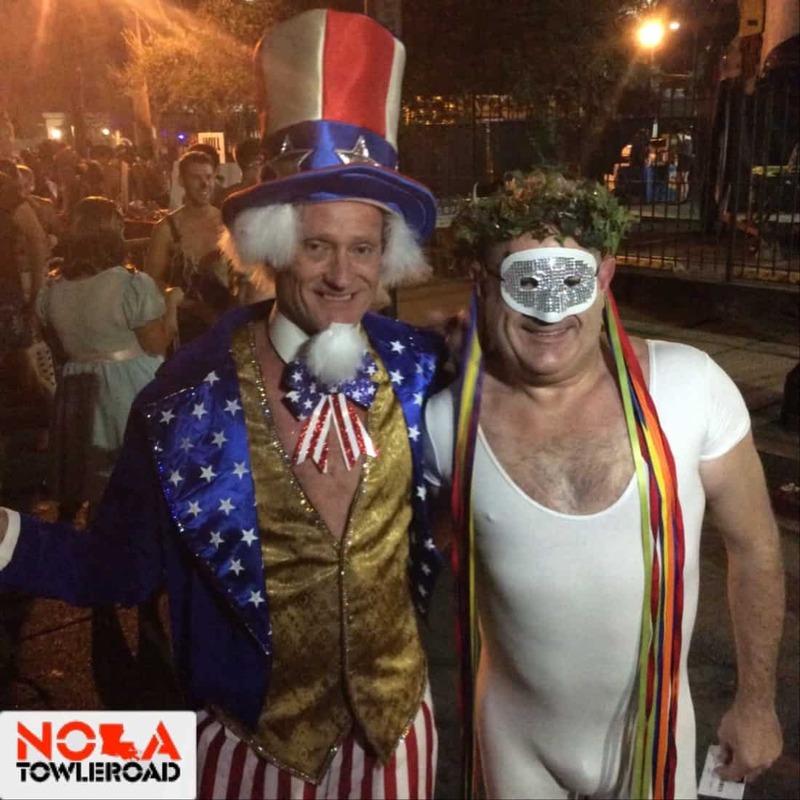 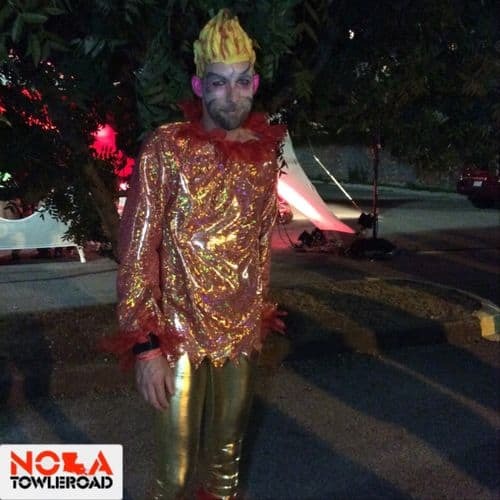 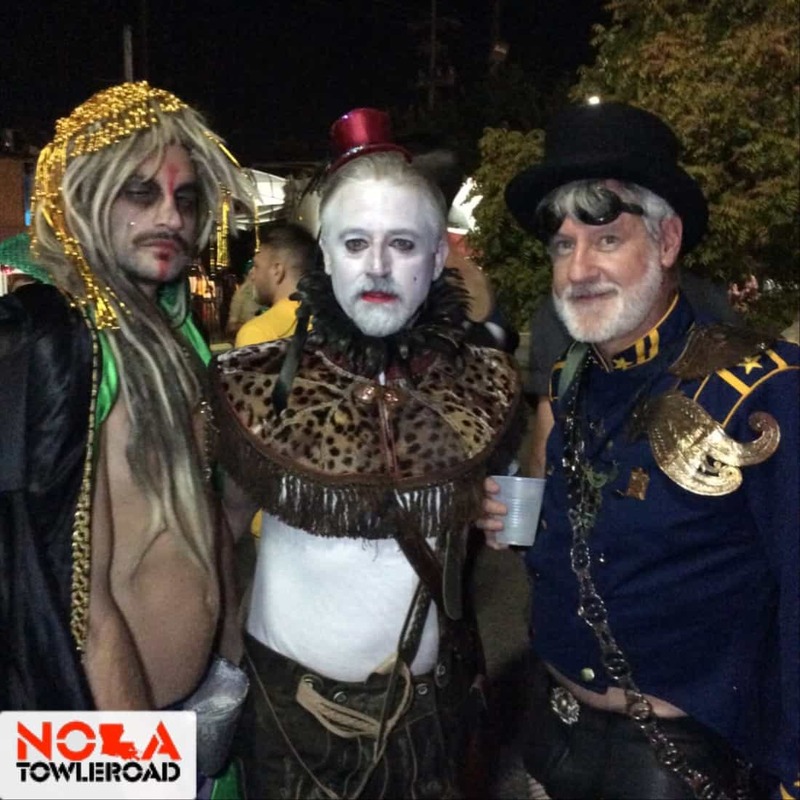 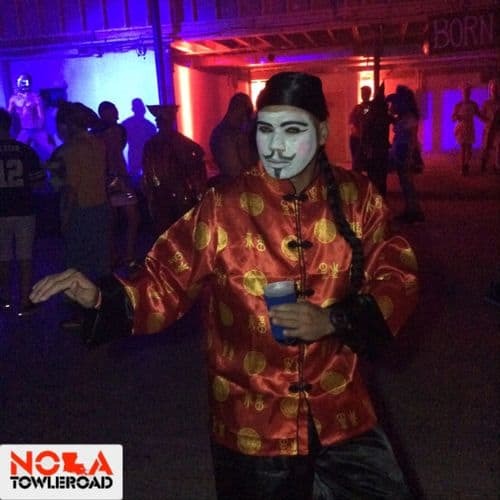 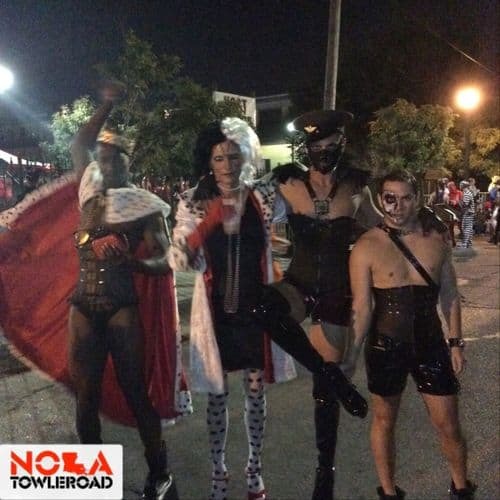 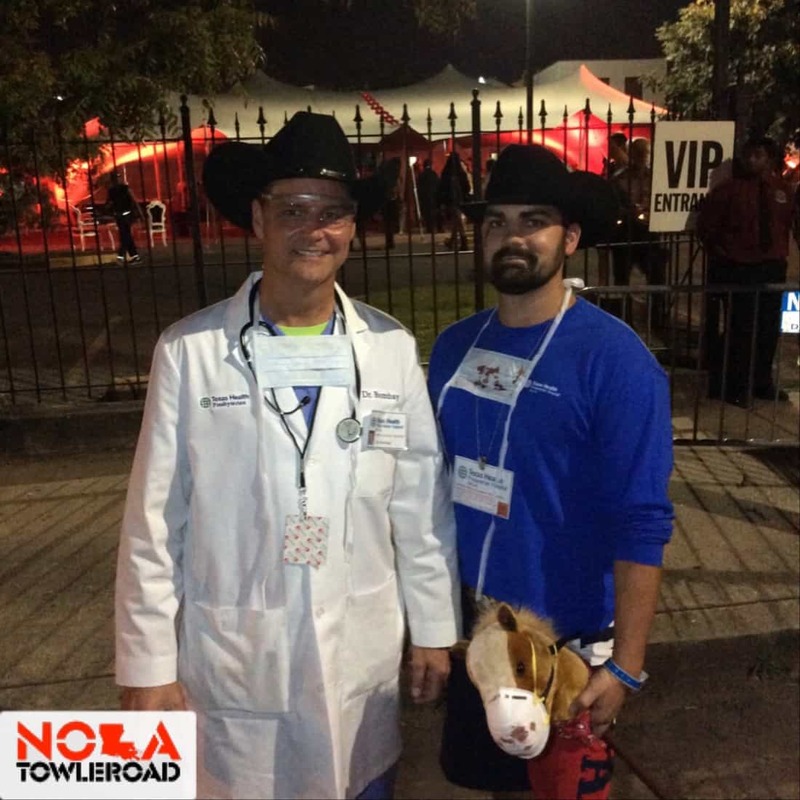 Halloween New Orleans, now in its 31st year, is one of the only 100% donation/volunteer event weekends left in the U.S.. Project Lazarus, a home in New Orleans which provides healthcare and support services for people with AIDS, is the sole beneficiary of ALL the funds that are raised. 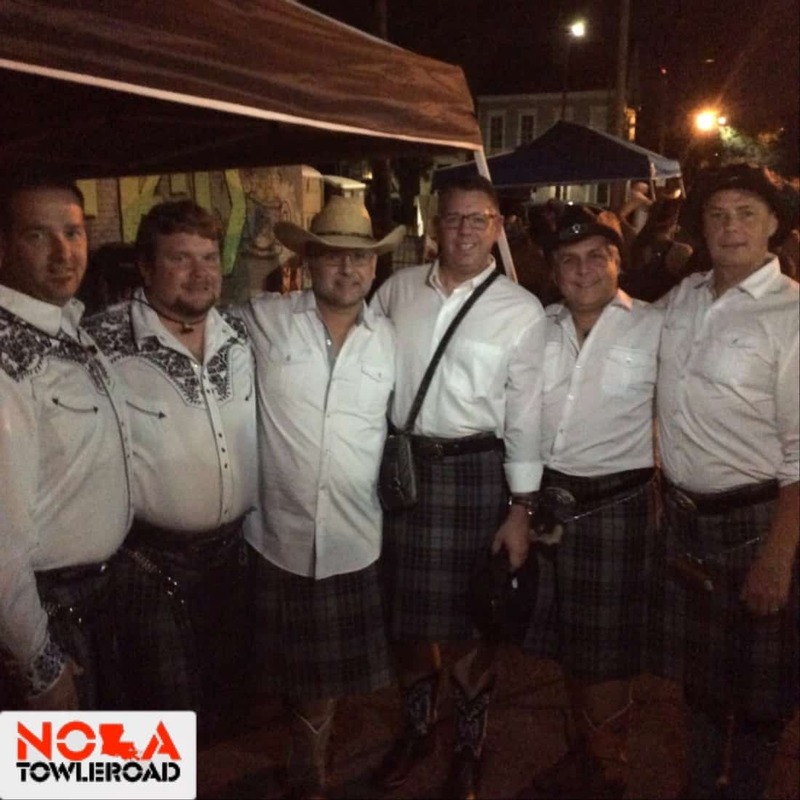 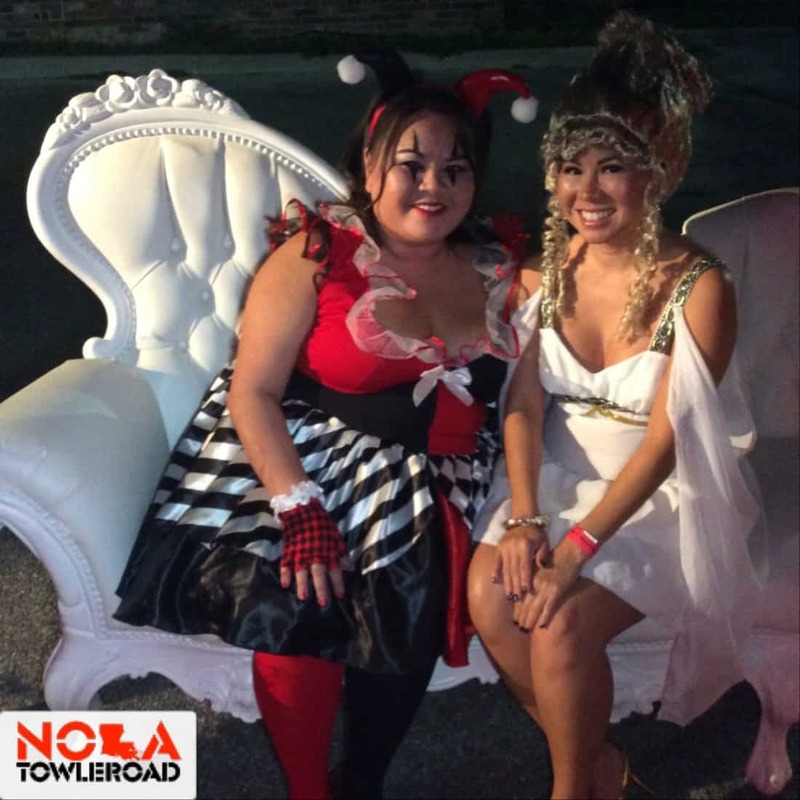 The weekend includes four days of events including a black tie ball, two big parties, and a brunch and traditional brass band Second Line parade through the city. 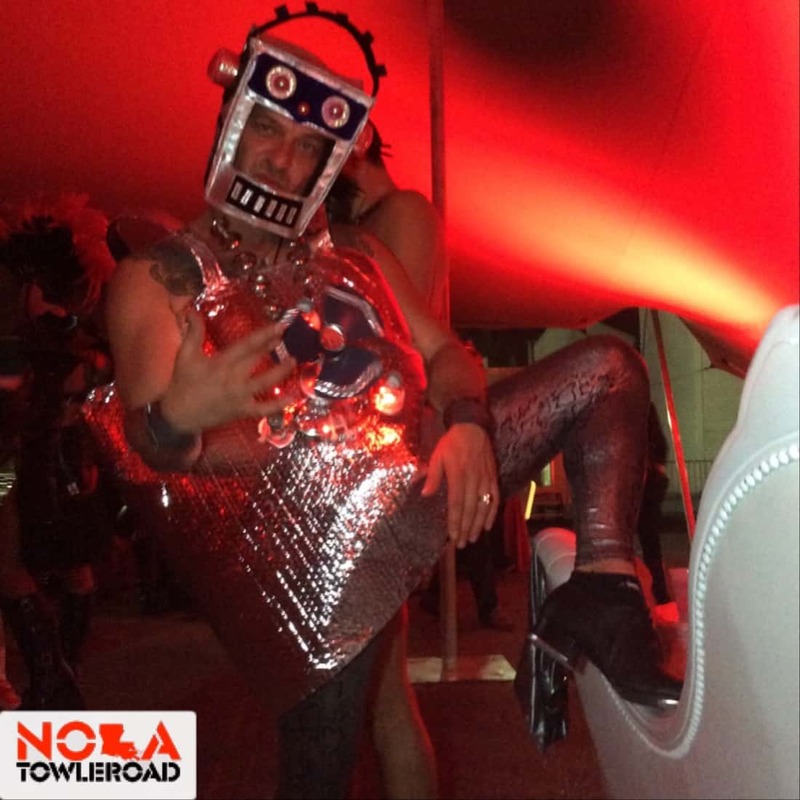 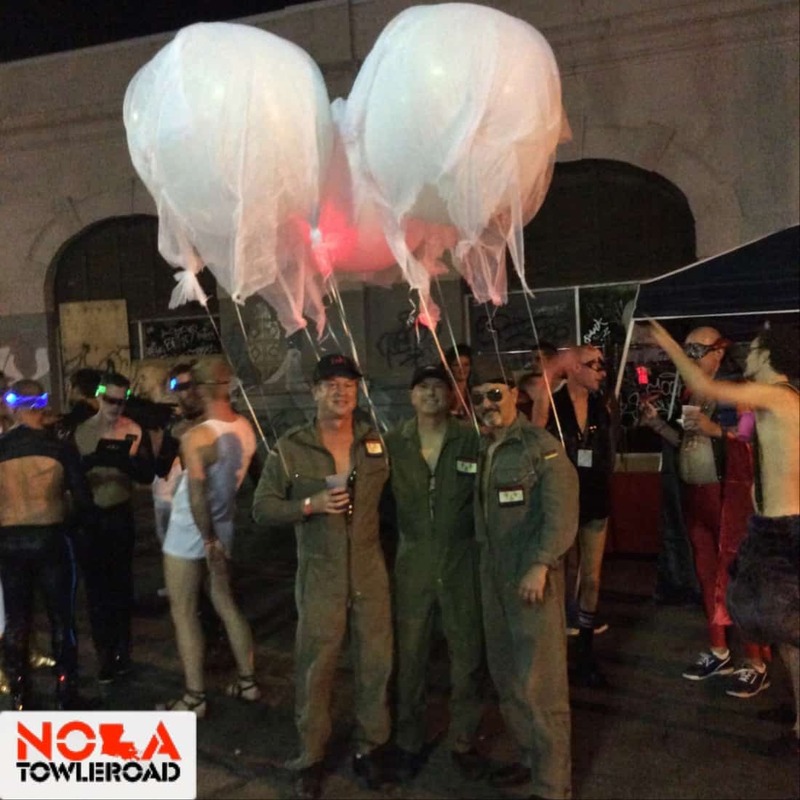 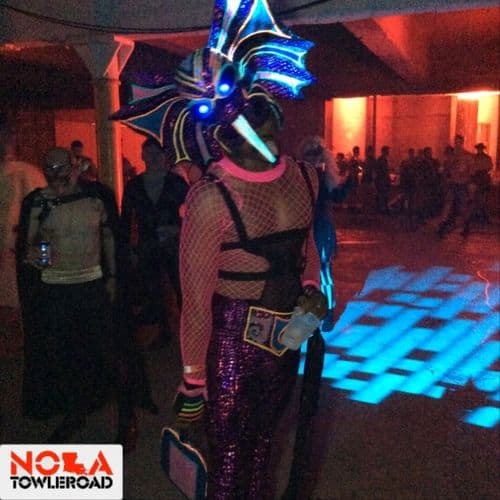 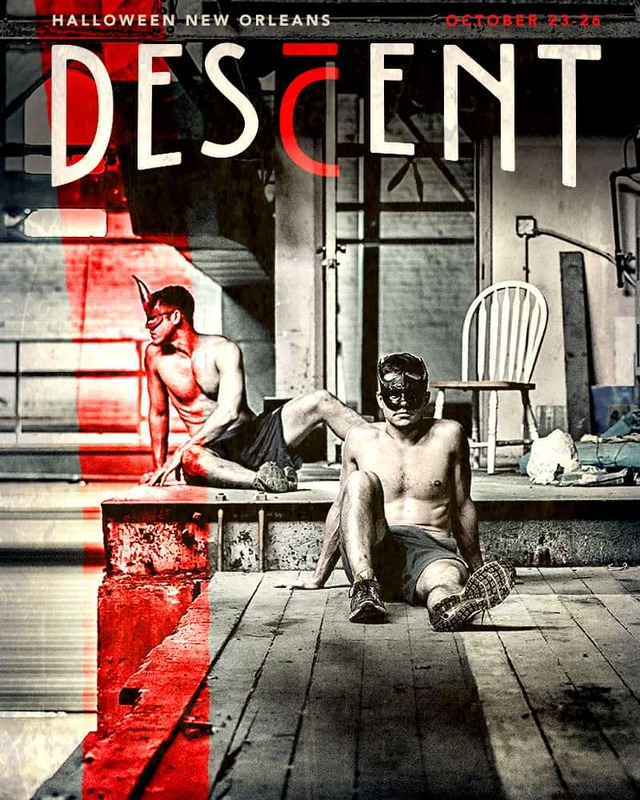 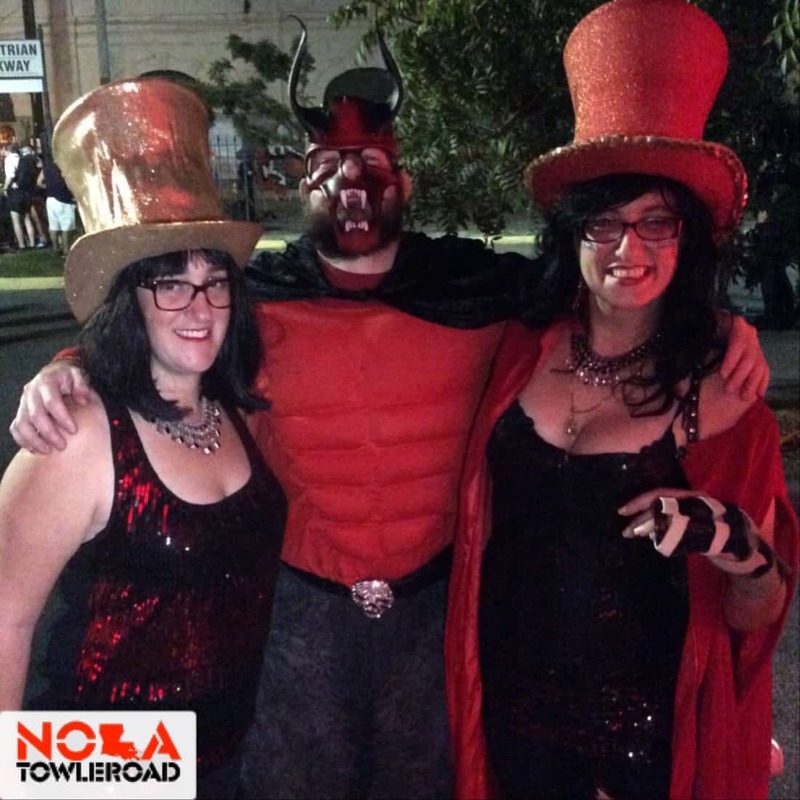 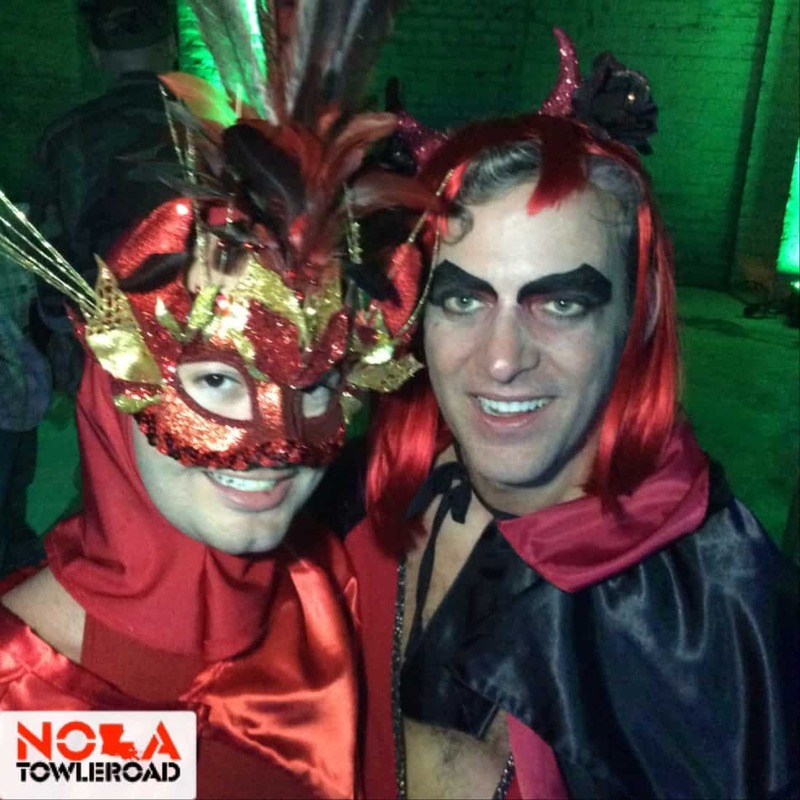 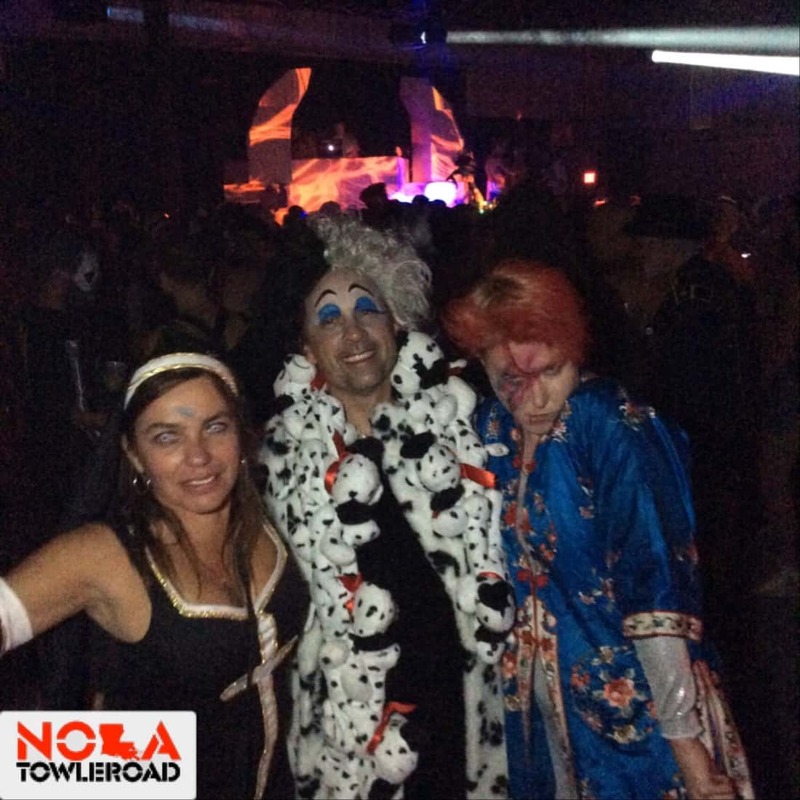 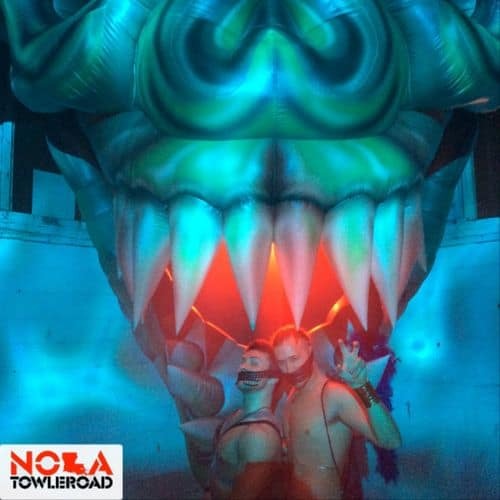 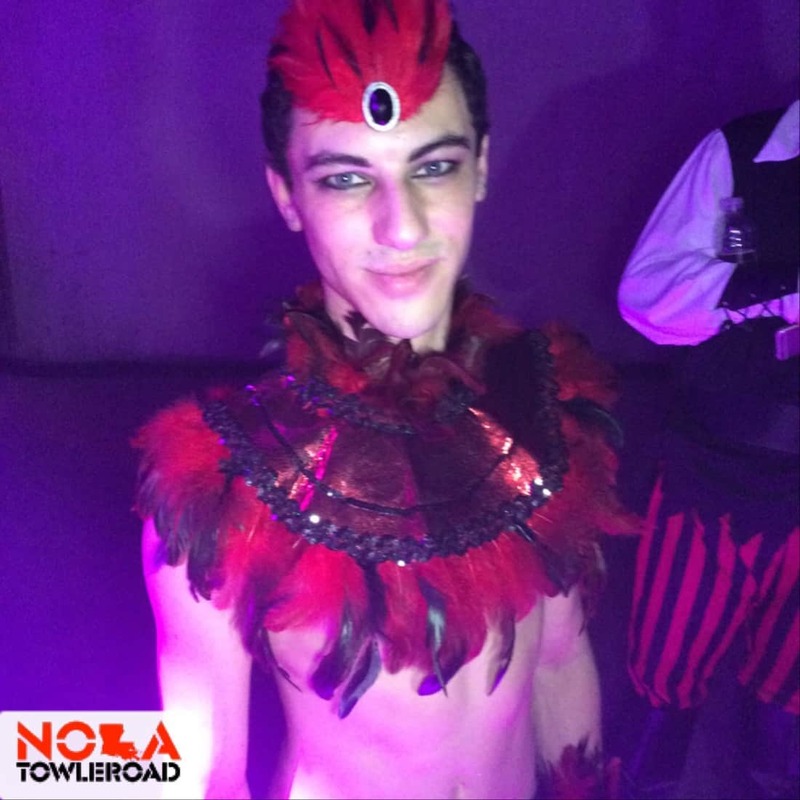 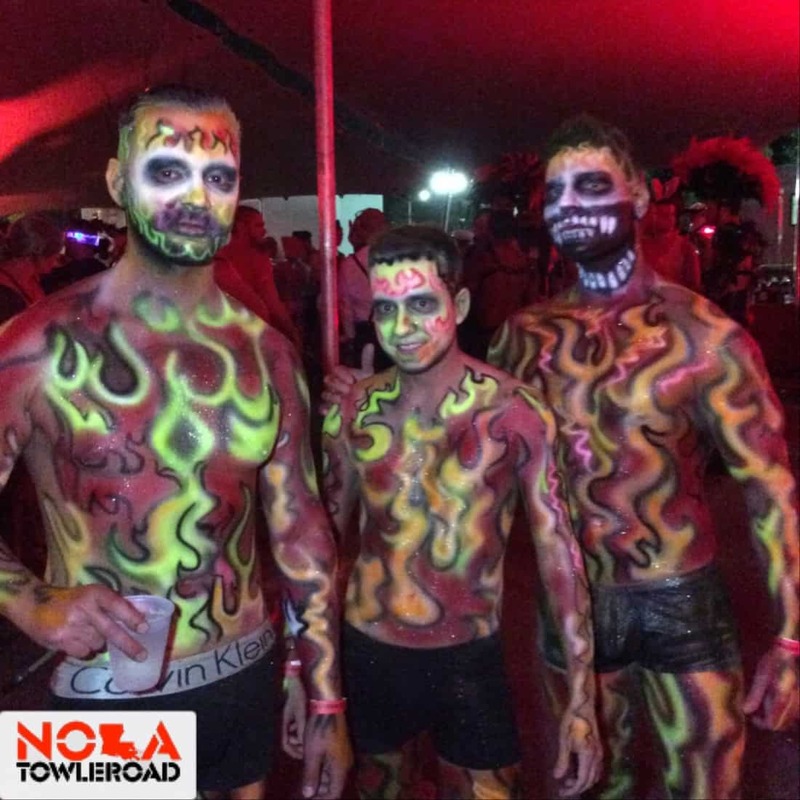 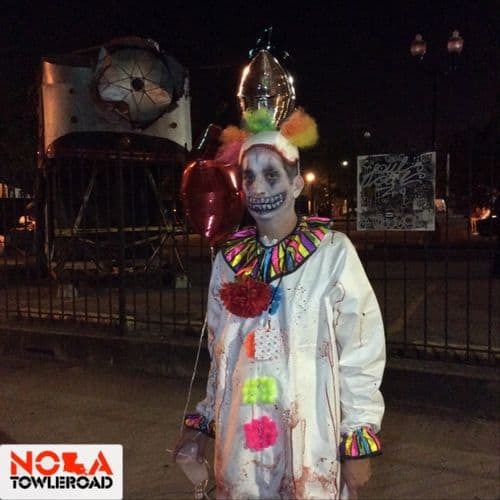 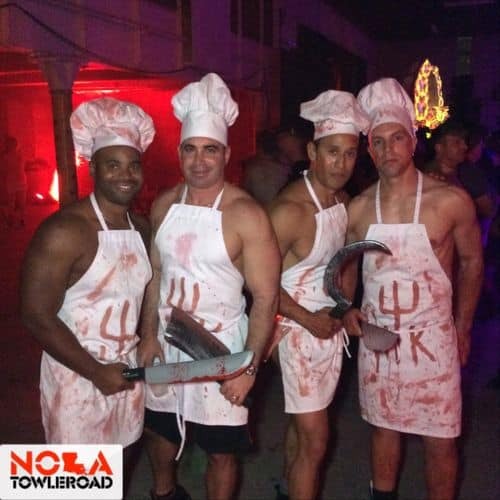 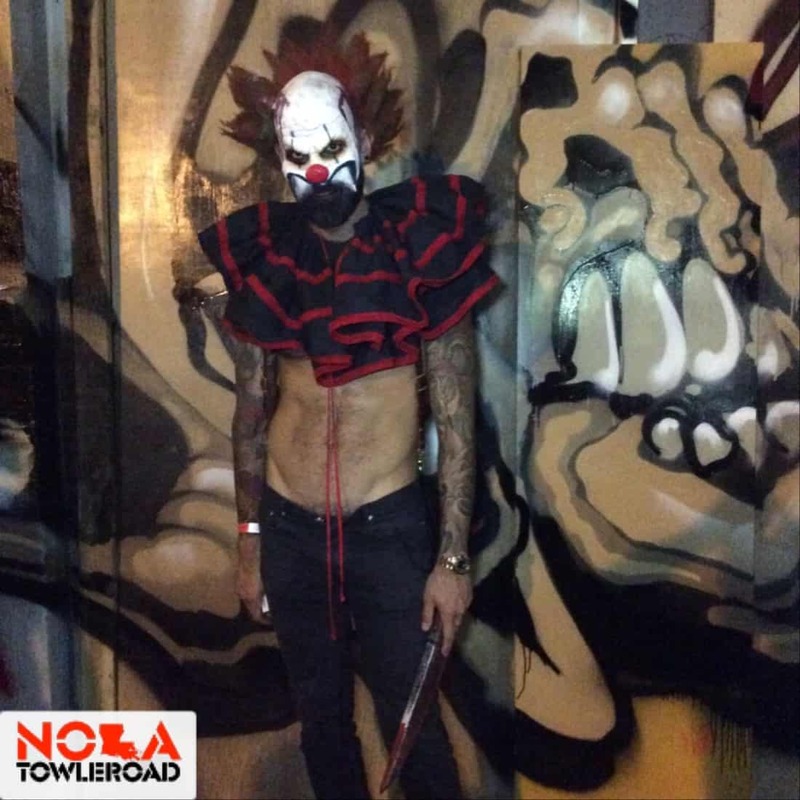 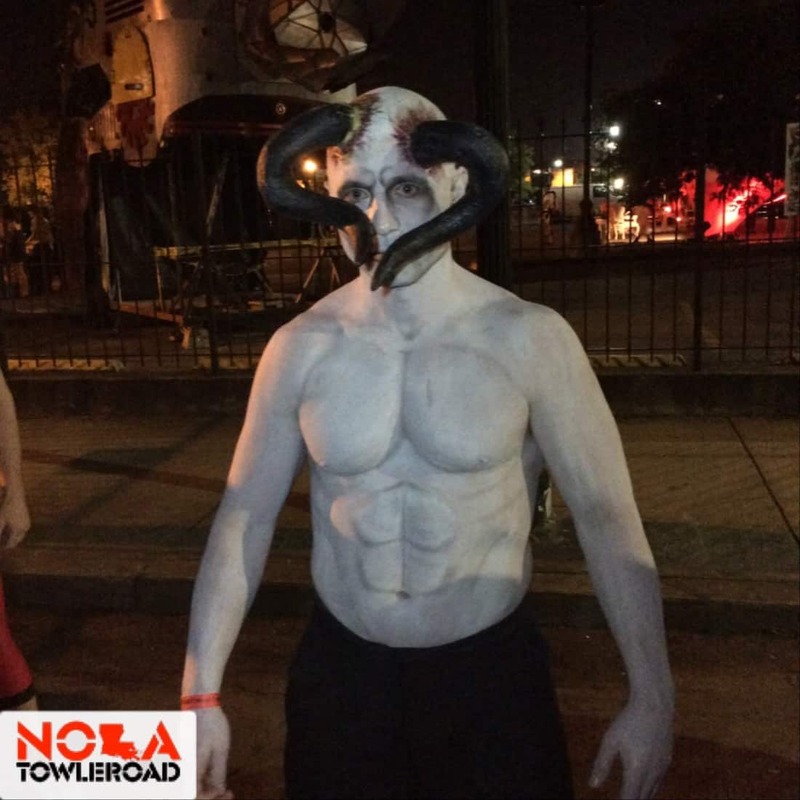 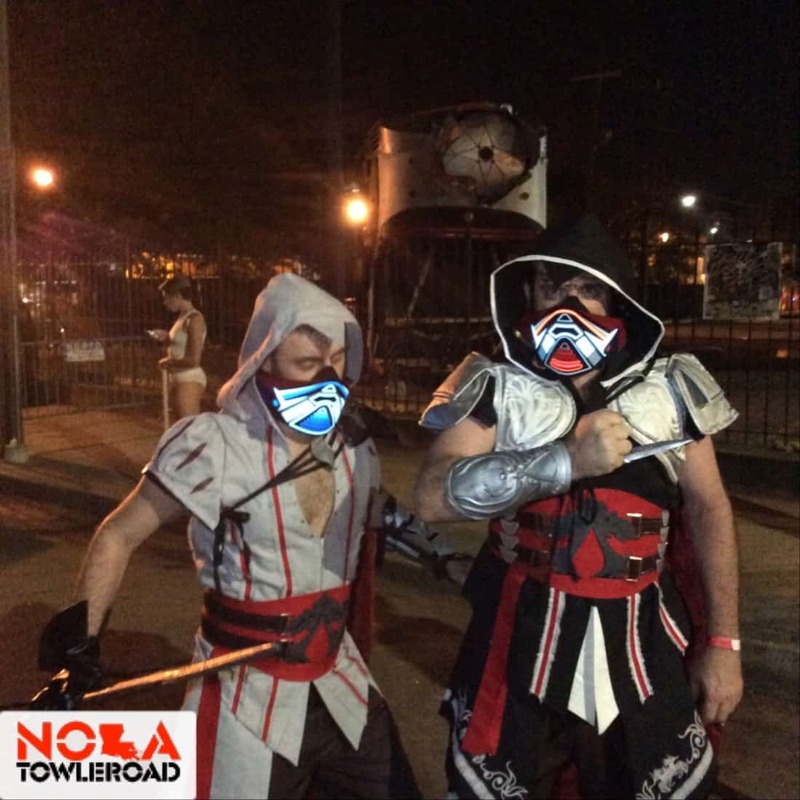 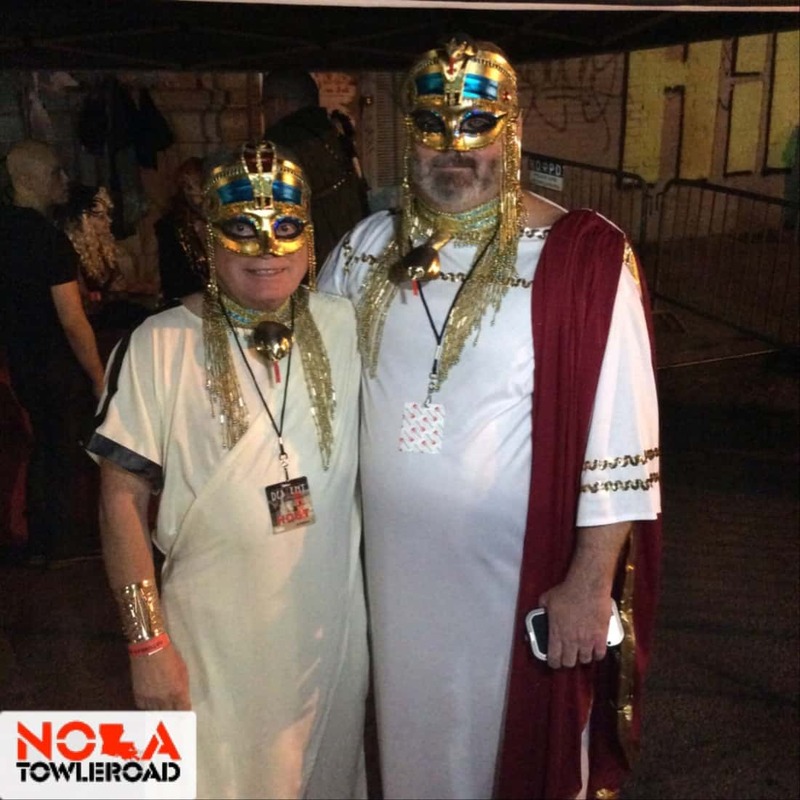 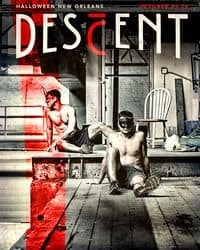 Yesterday, we showed you a big gallery of the fun that went down on NOLA’s main party drag, Bourbon Street, and now it’s time to unveil our massive gallery of the tricks and treats that went down at Descent, which was the name and theme of this year’s main event. 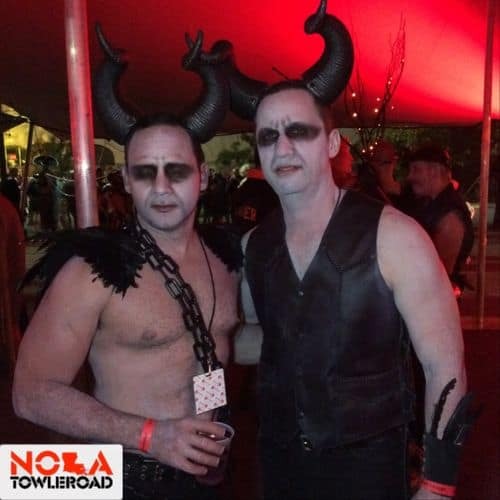 Seen in this year’s crowd were plenty of satanic themes, Hell’s Kitchen, Death Becomes Her, Clockwork Orange is the New Black, Freddie Mercury, spelunkers, Super Mario Brothers, Maleficent, some wild jungle cats, pharaohs, Anna Wintour, and a whole lot of skin. 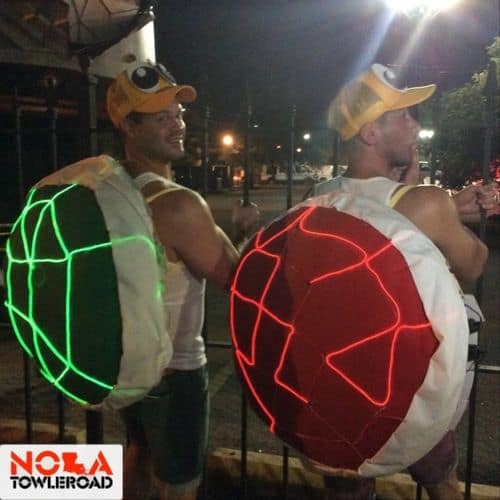 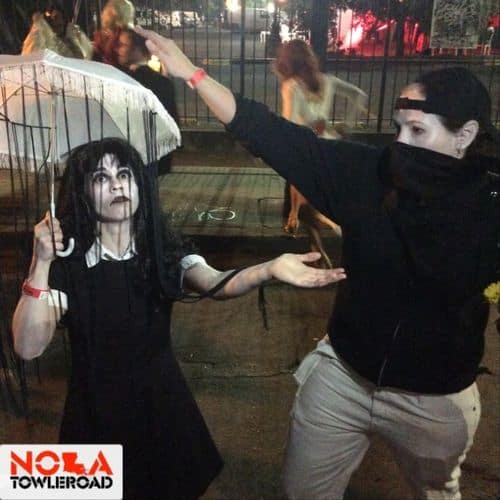 Need some last-minute costume ideas for yourself? 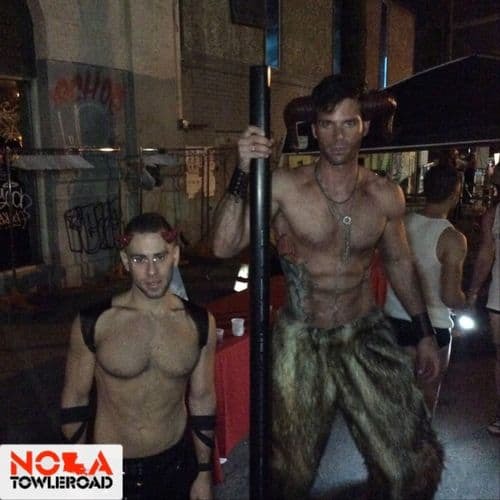 Make sure not to miss a Towleroad headline by following @TLRD on TWITTER. 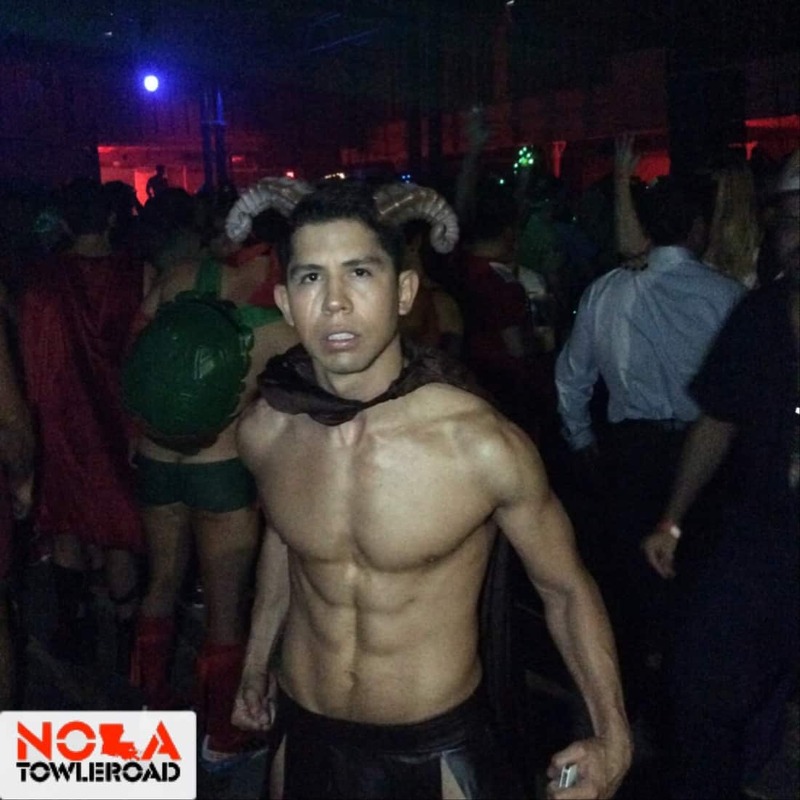 And follow us on INSTAGRAM @TLRD. 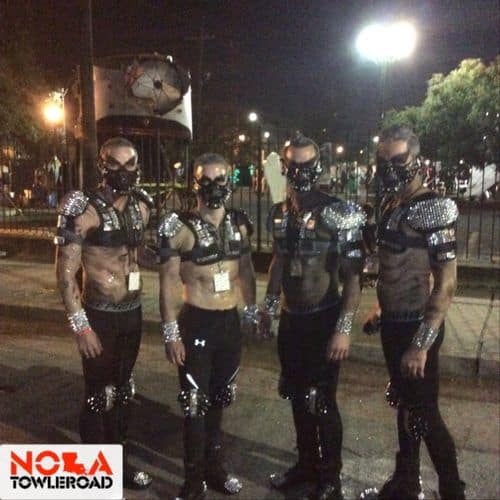 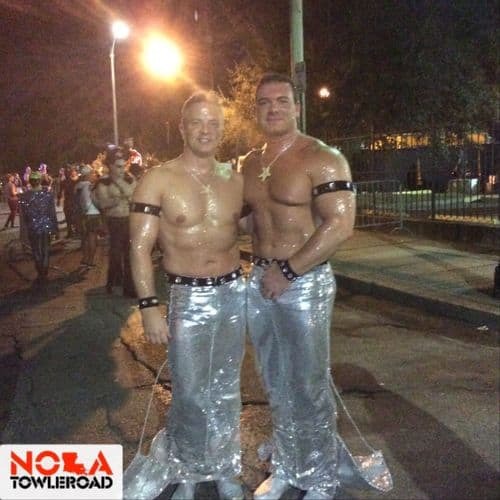 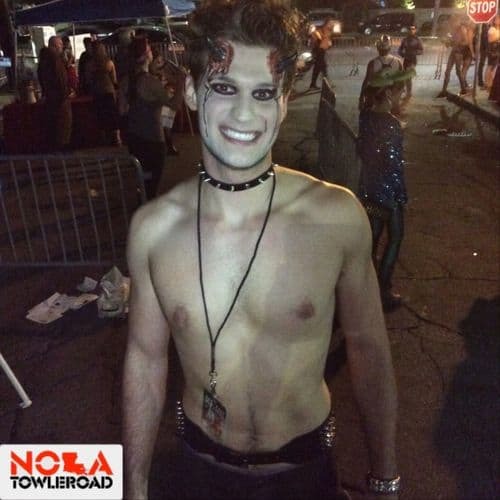 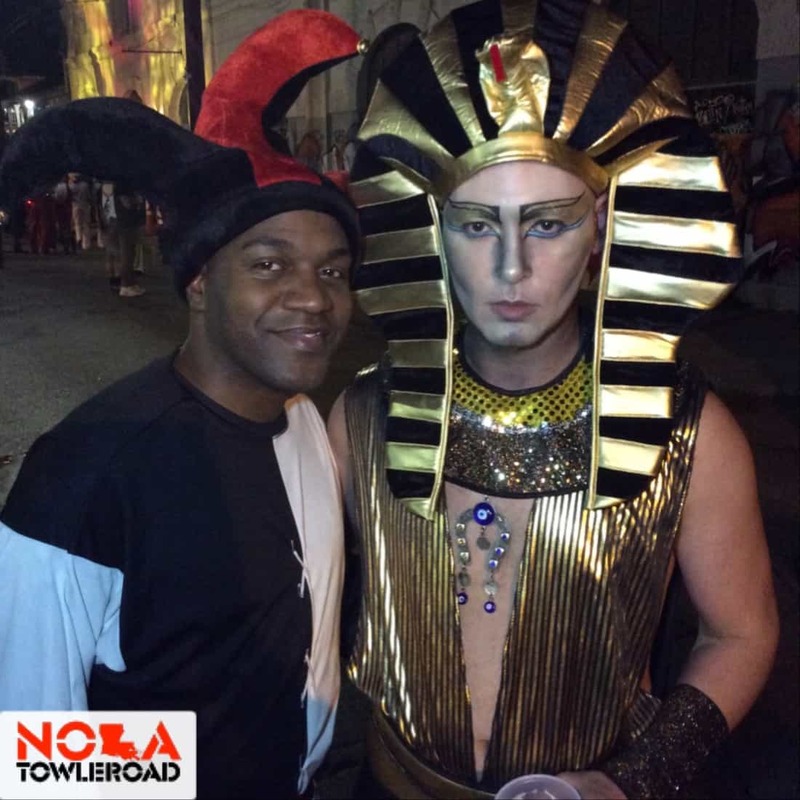 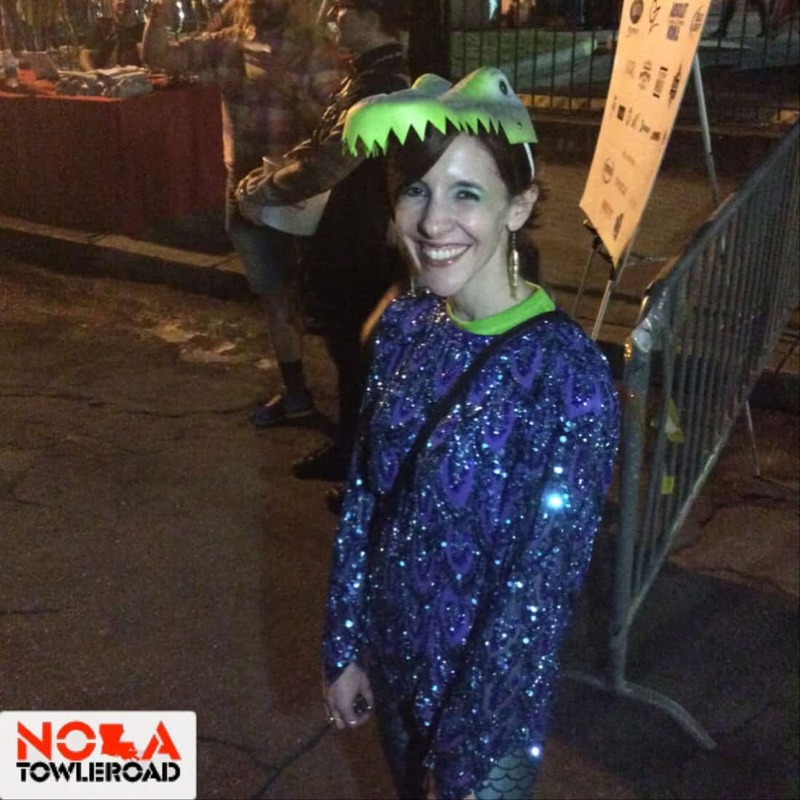 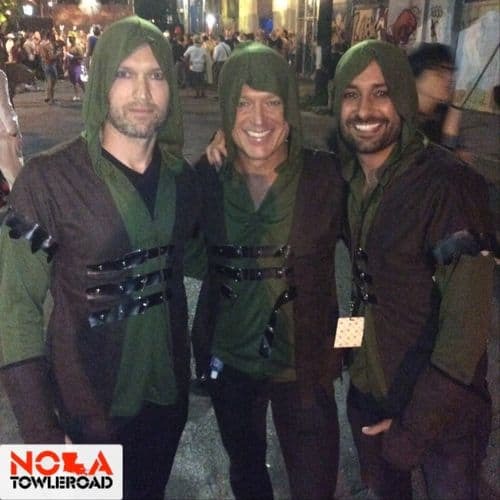 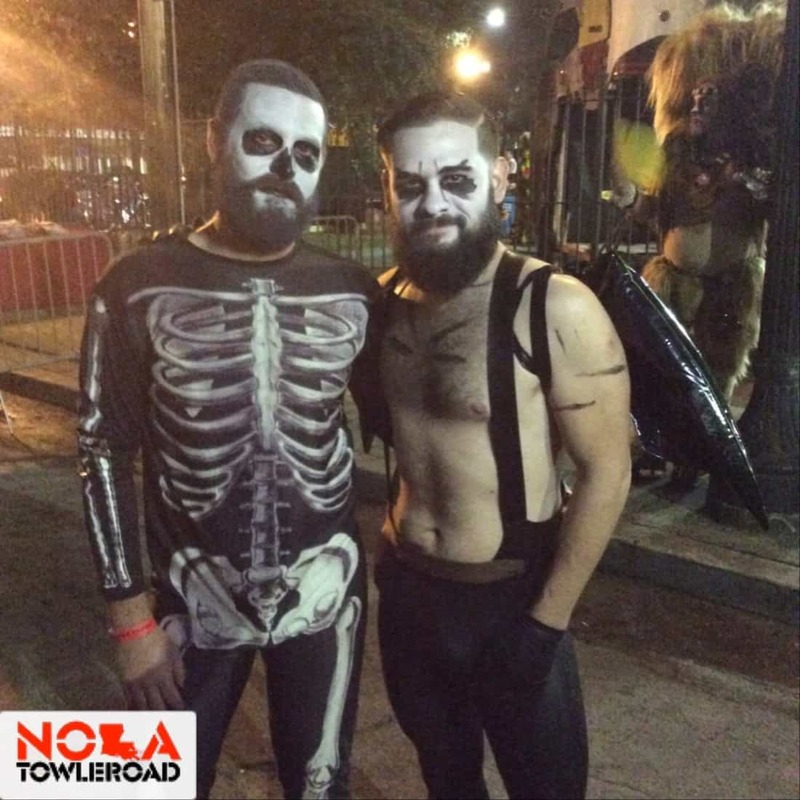 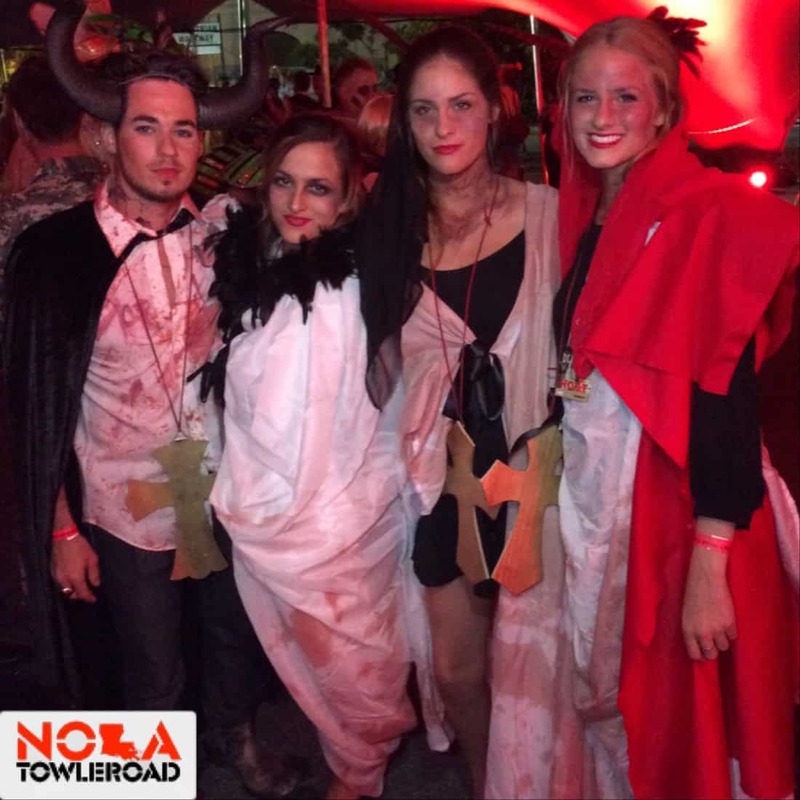 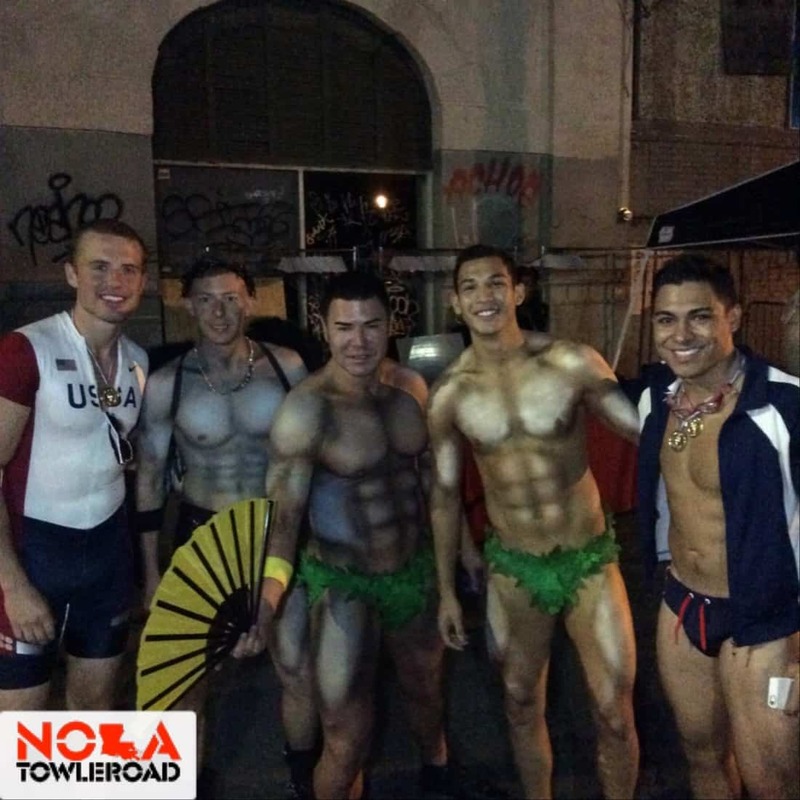 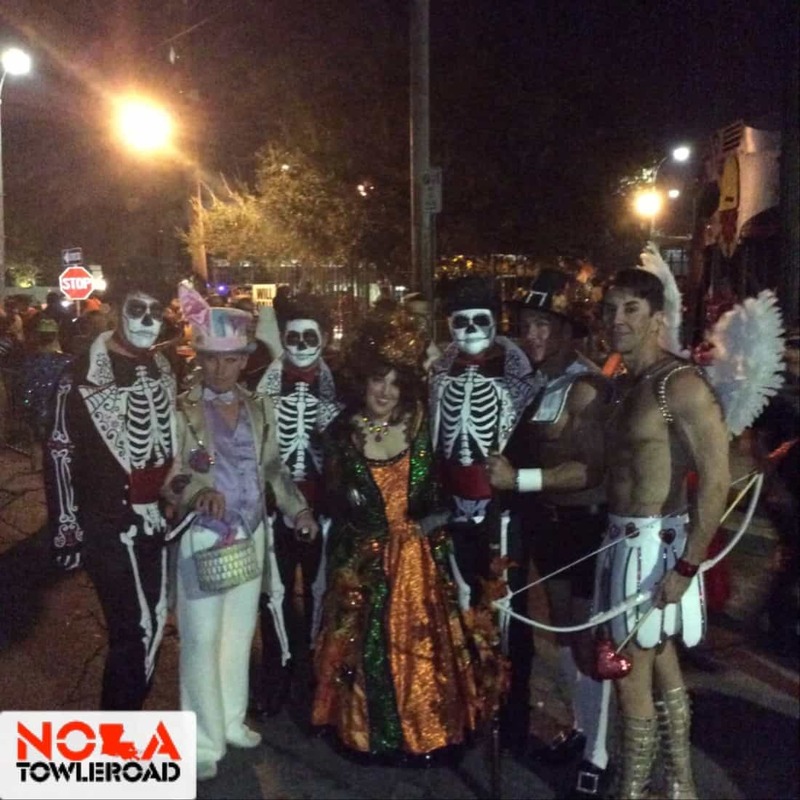 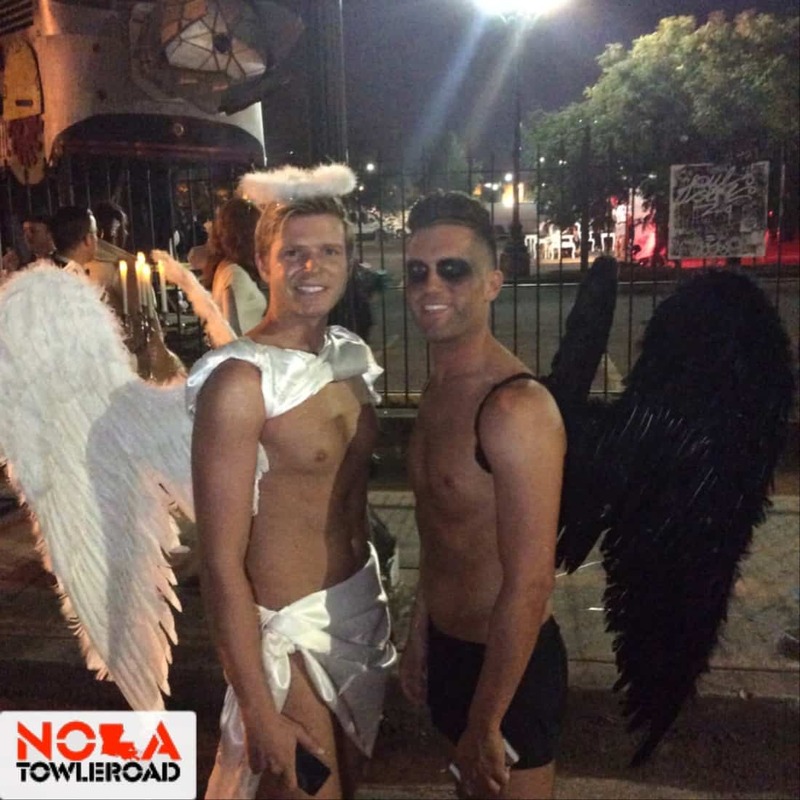 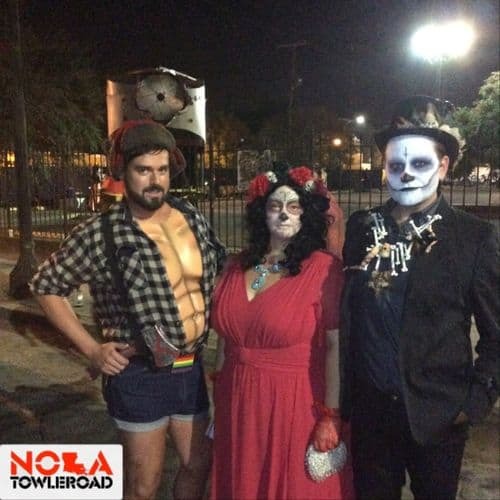 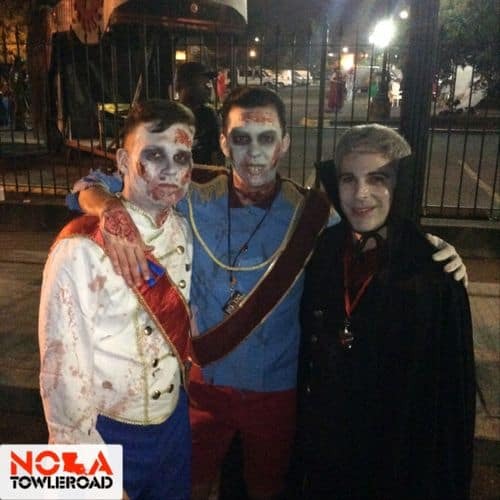 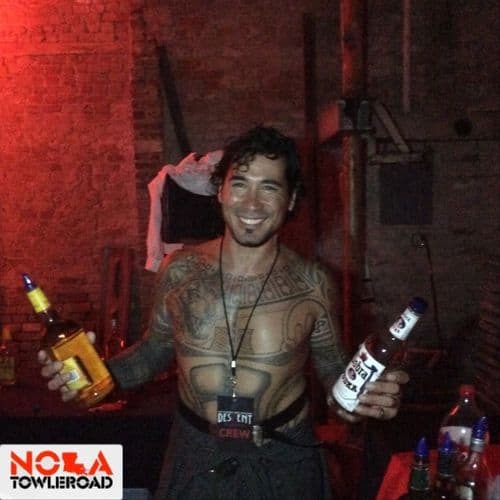 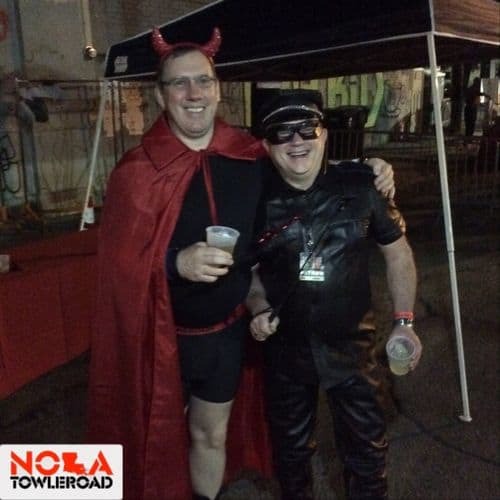 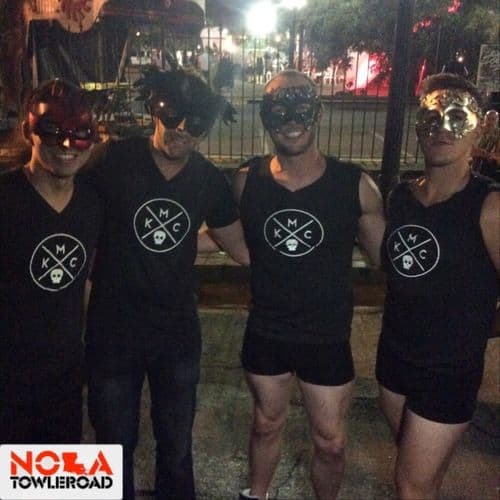 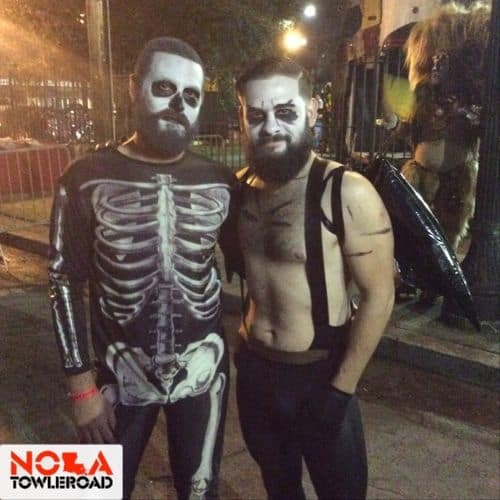 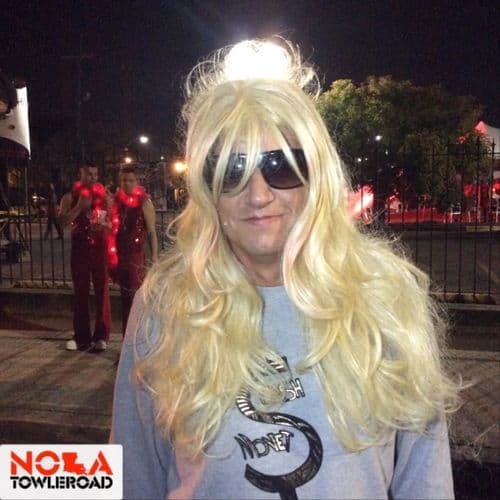 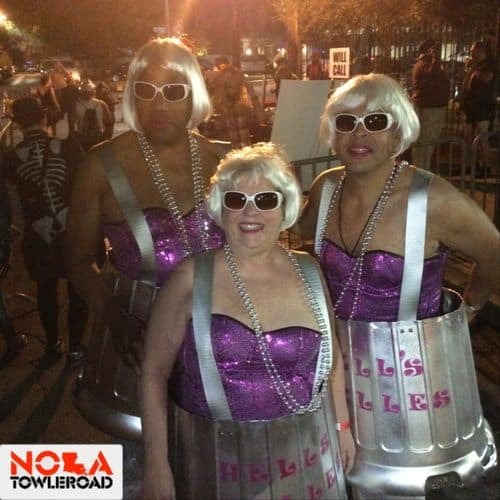 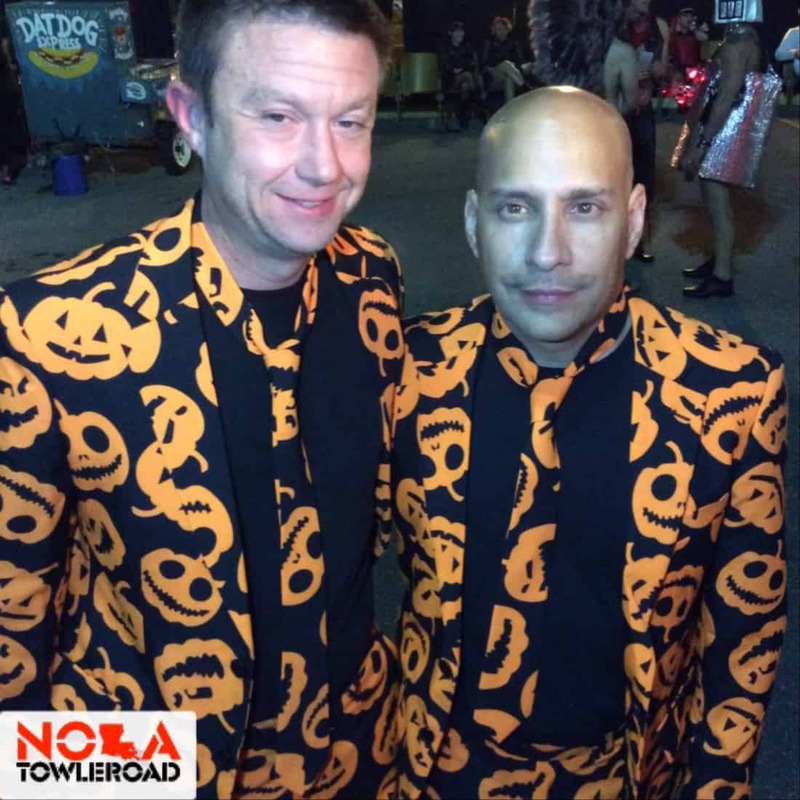 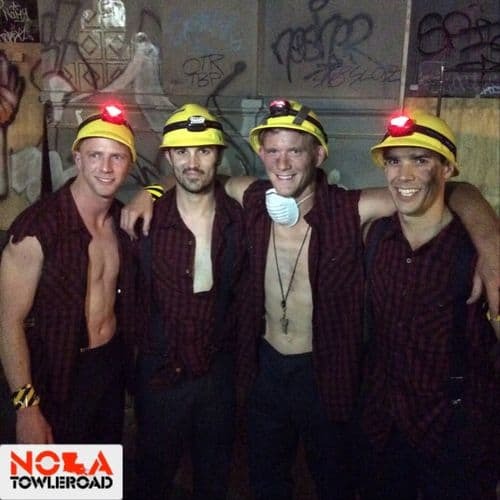 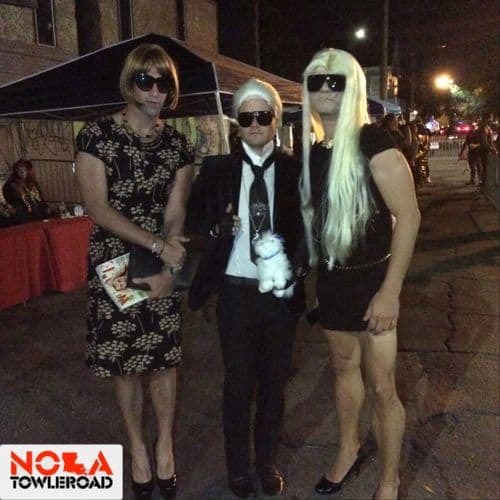 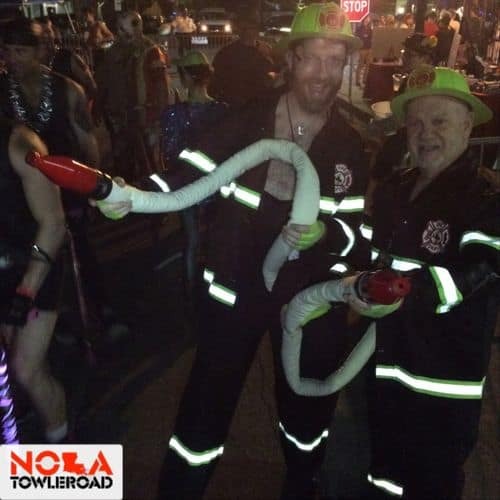 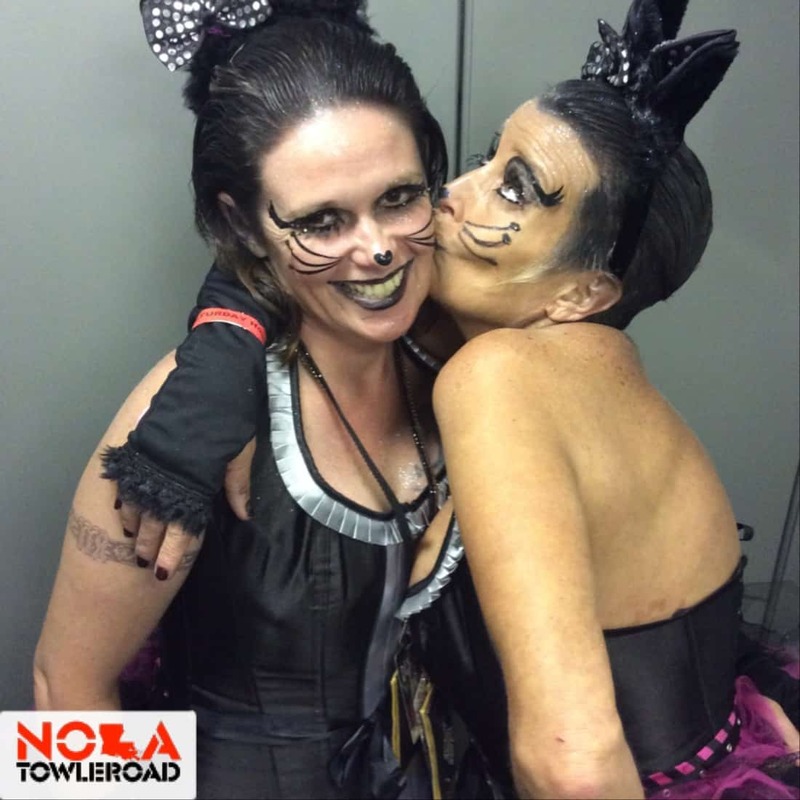 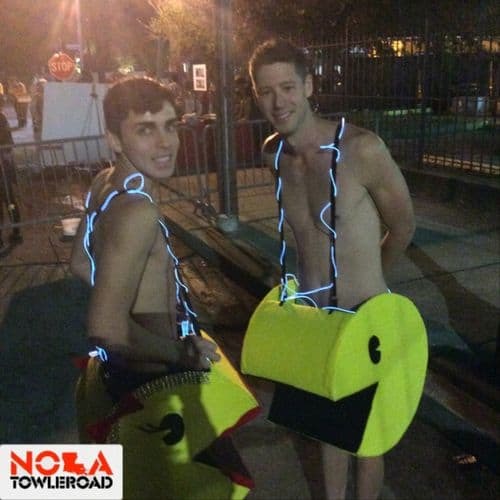 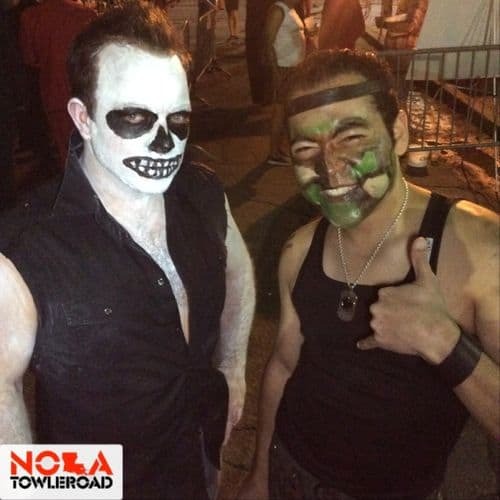 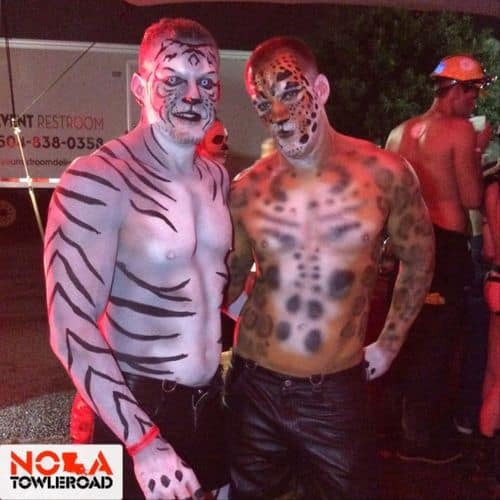 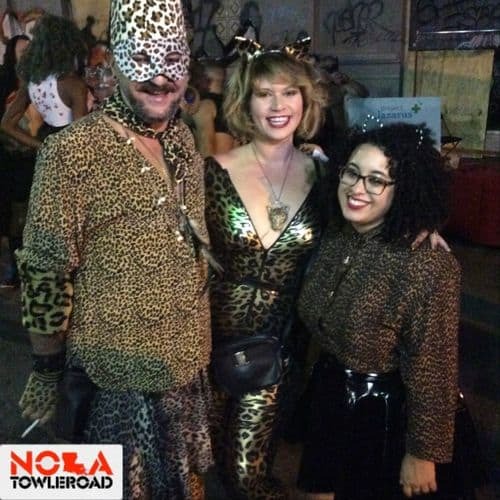 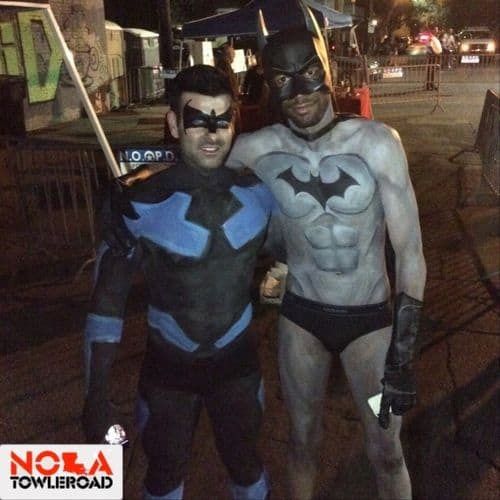 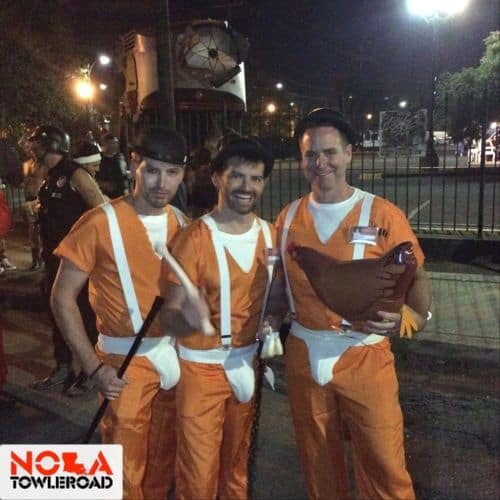 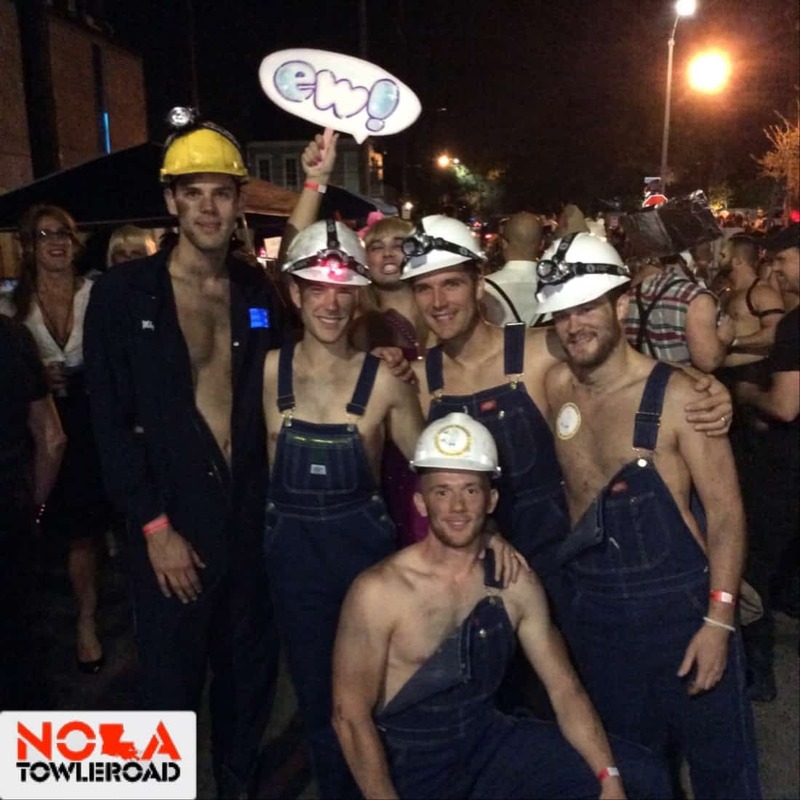 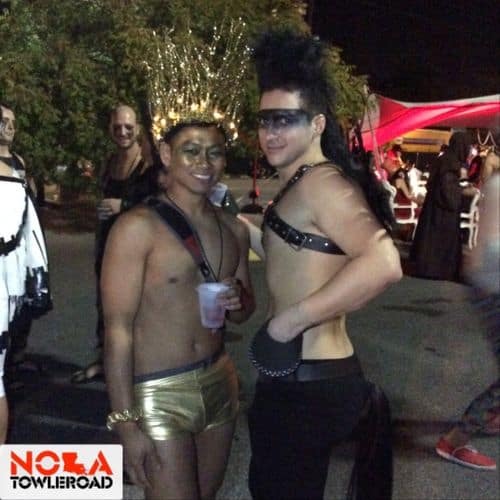 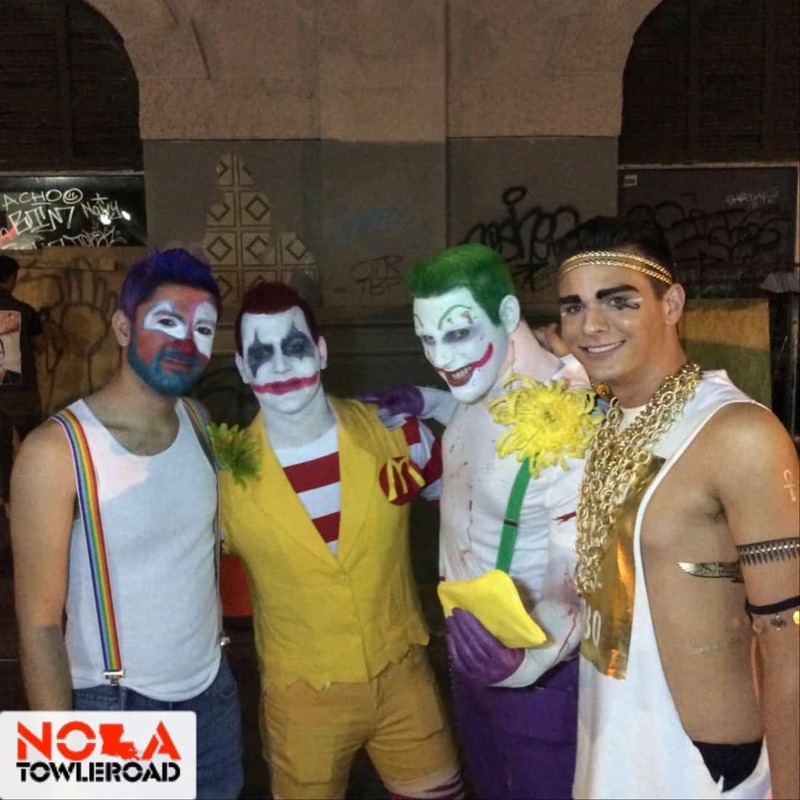 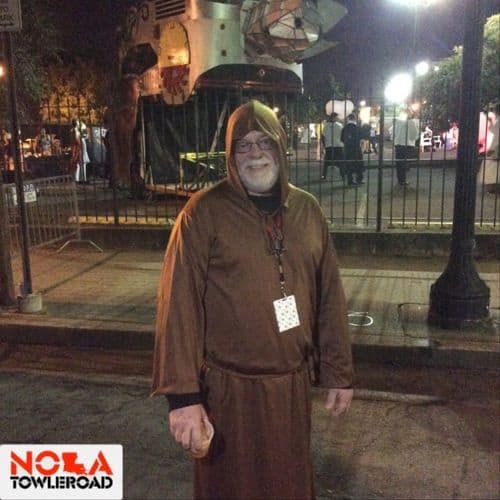 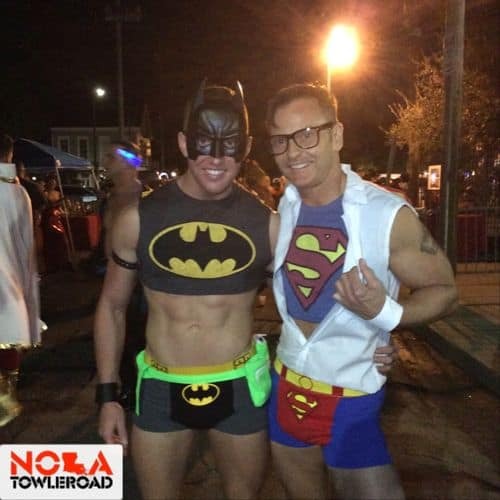 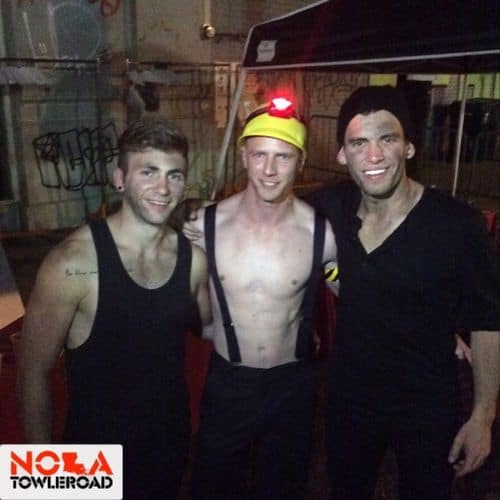 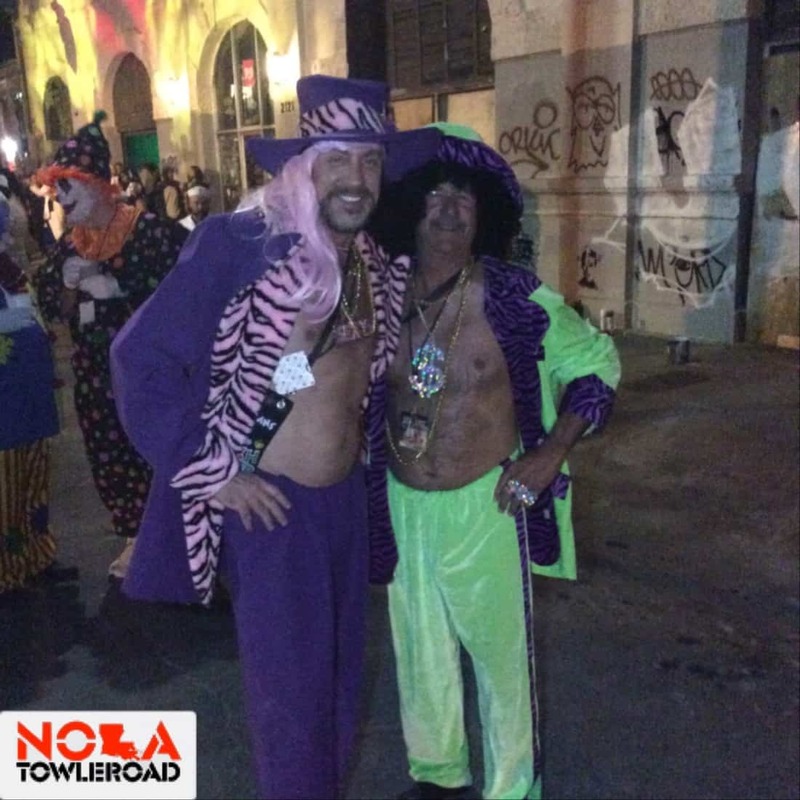 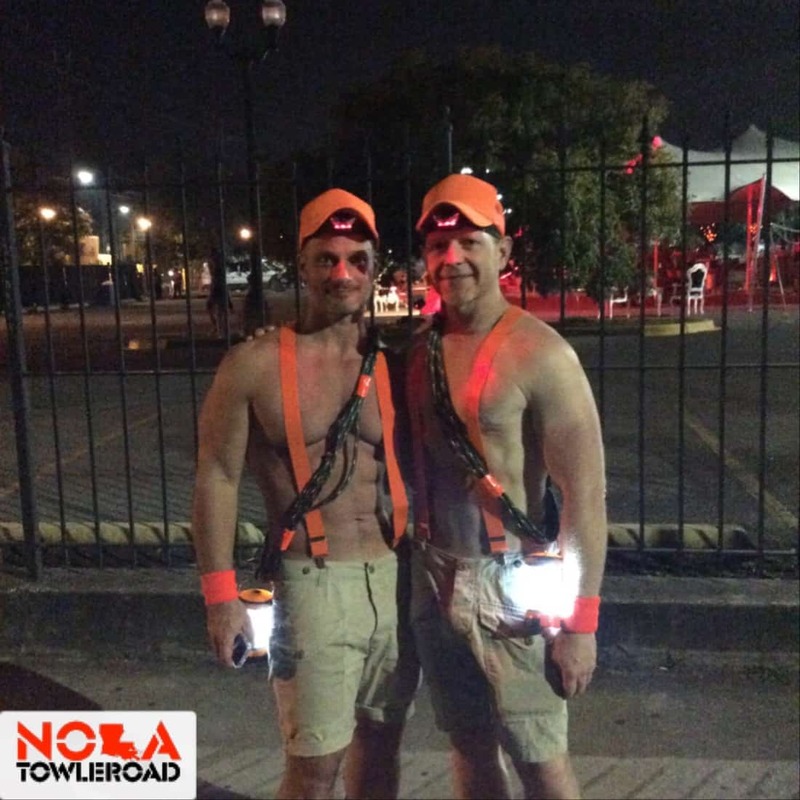 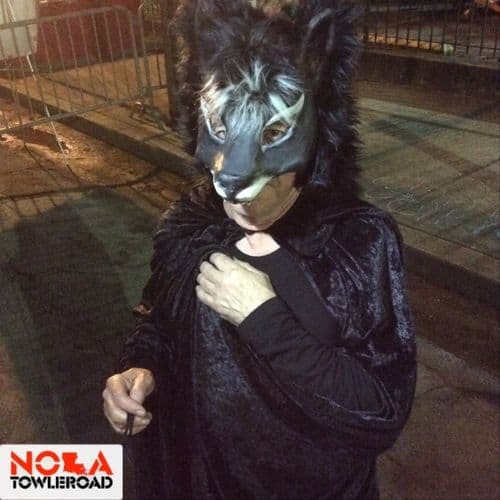 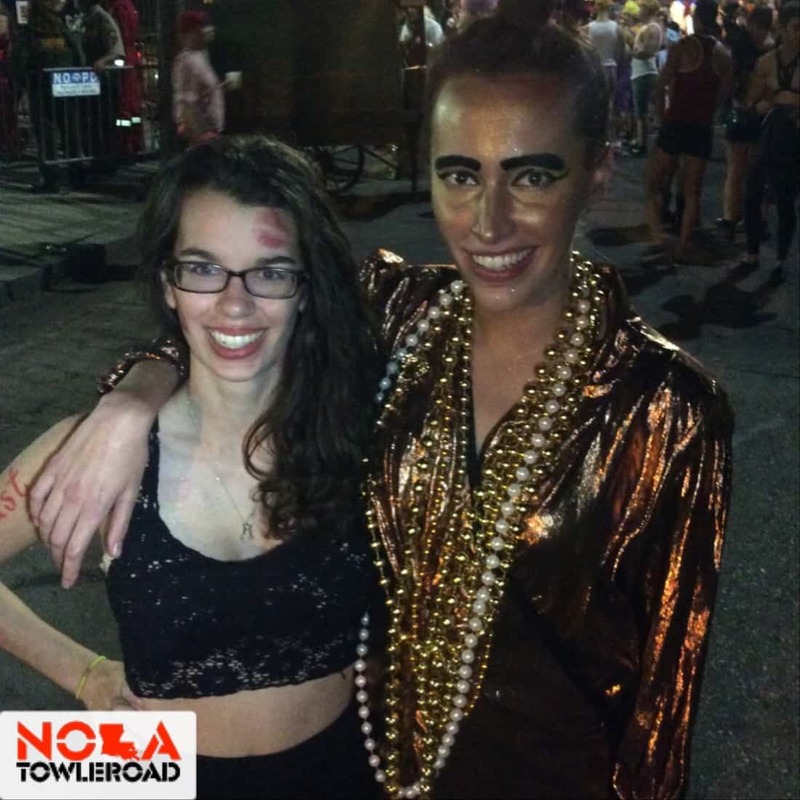 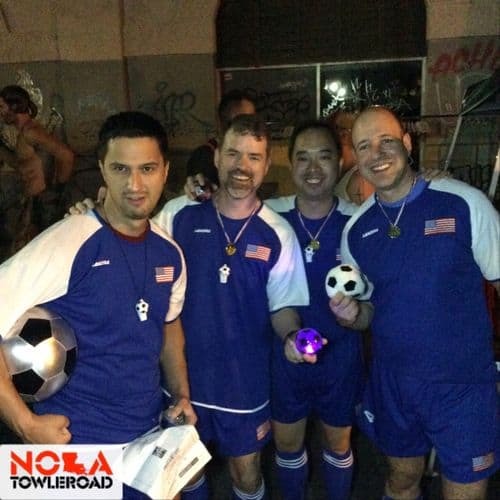 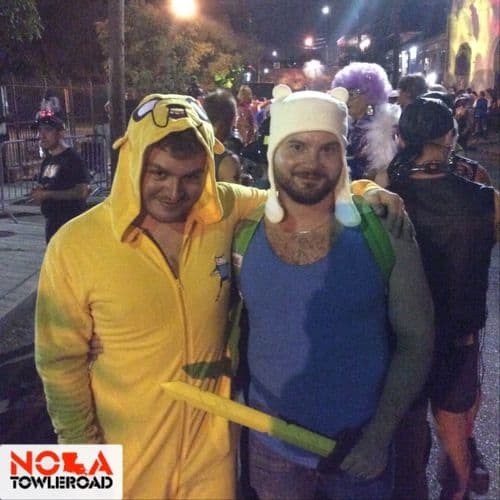 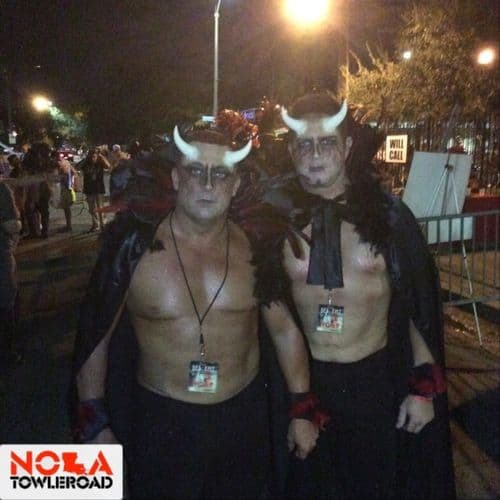 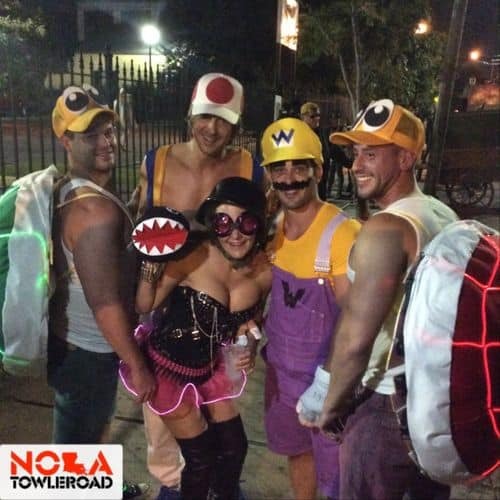 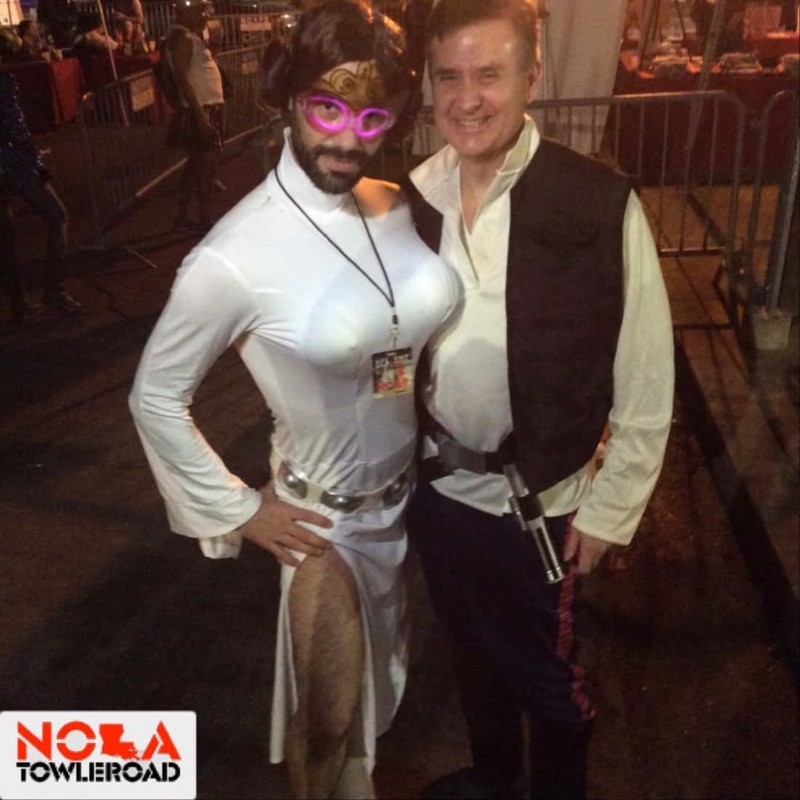 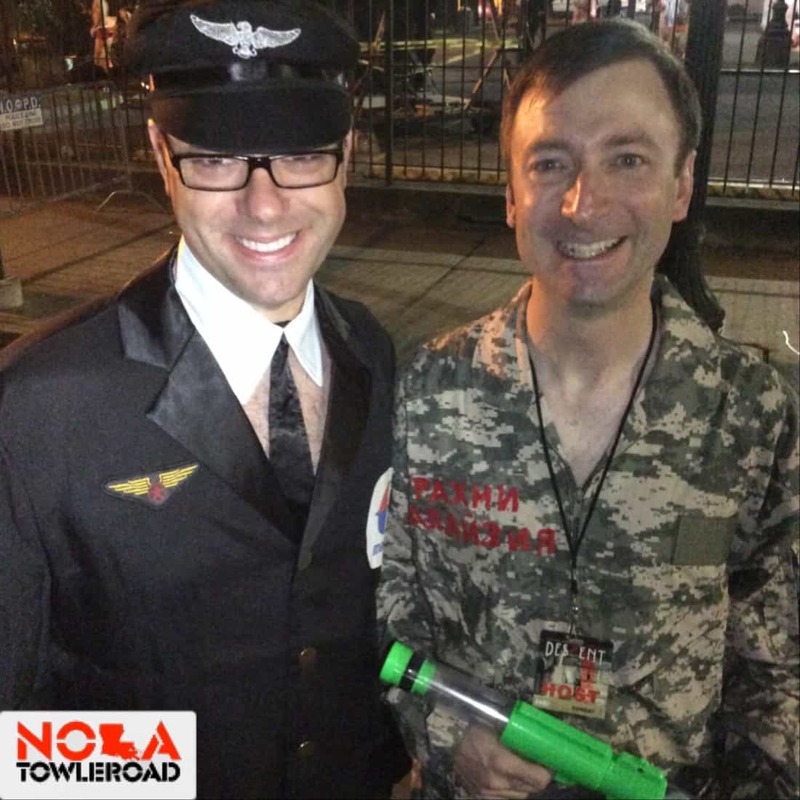 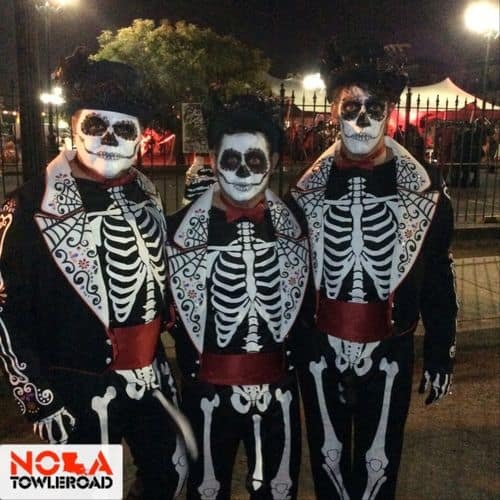 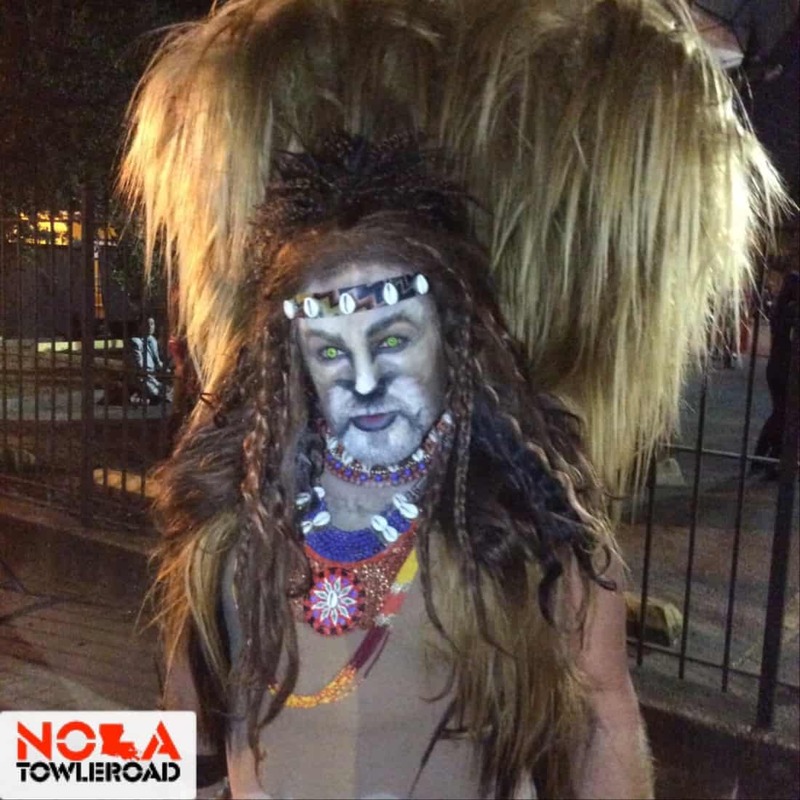 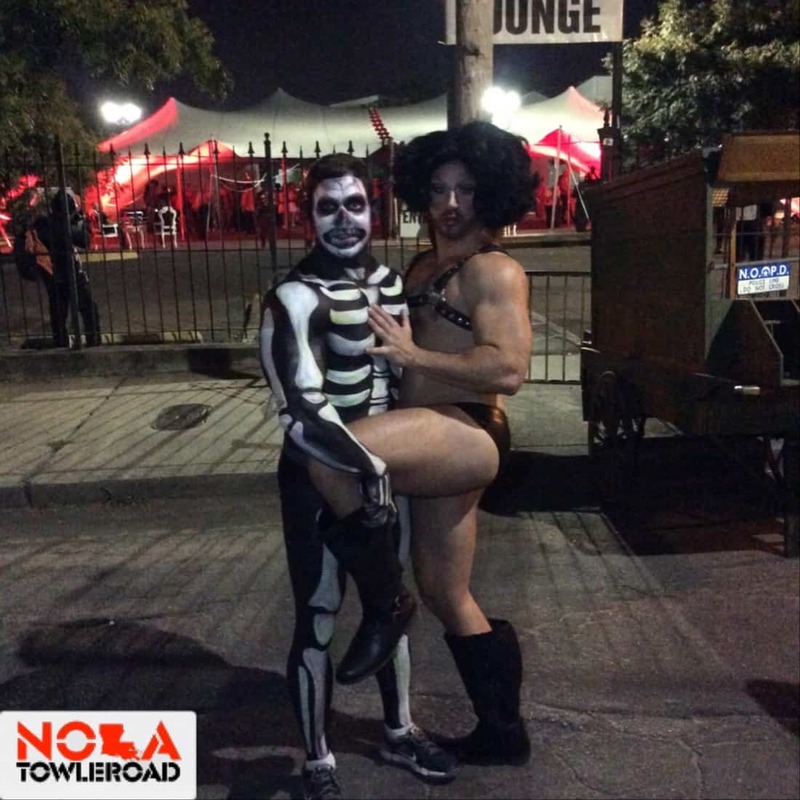 Check out our shots of Halloween cuties on Bourbon Street HERE.